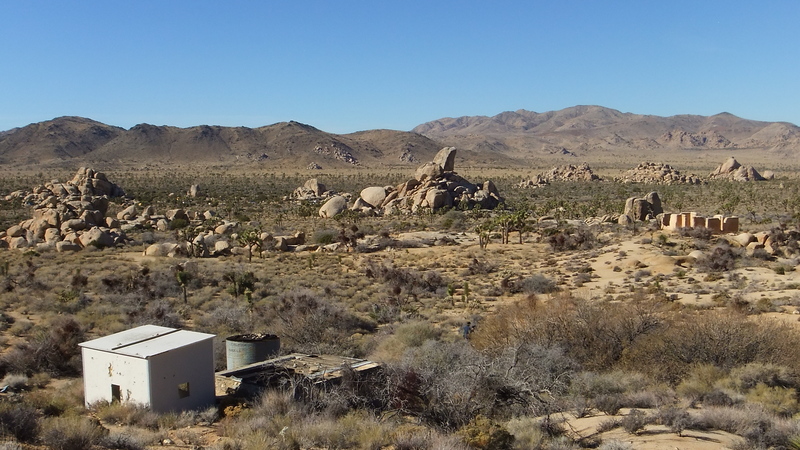 Ryan Ranch and vicinity are the anchor points of this Gallery page, enjoy this distant view looking west from the pump house. 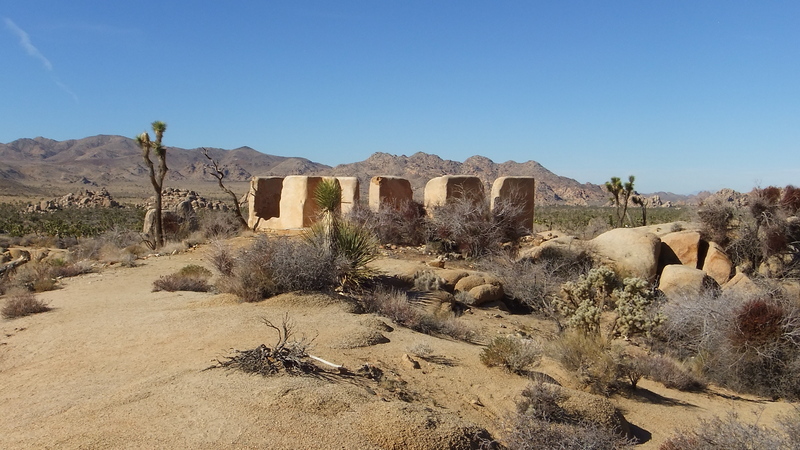 A FEW HUNDRED YARDS PAST THE HEADSTONE PINNACLE are the remains of Ryan Ranch Homestead with its small dam for water storage. 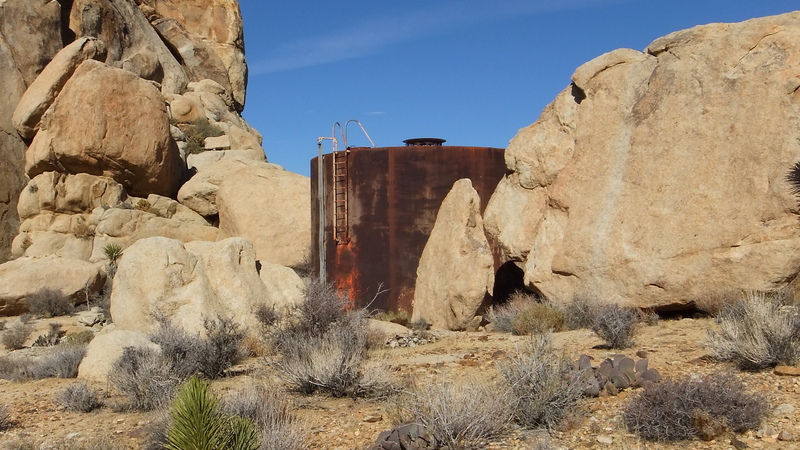 Apparently the dam provided a convenient swimming pool for the residents. 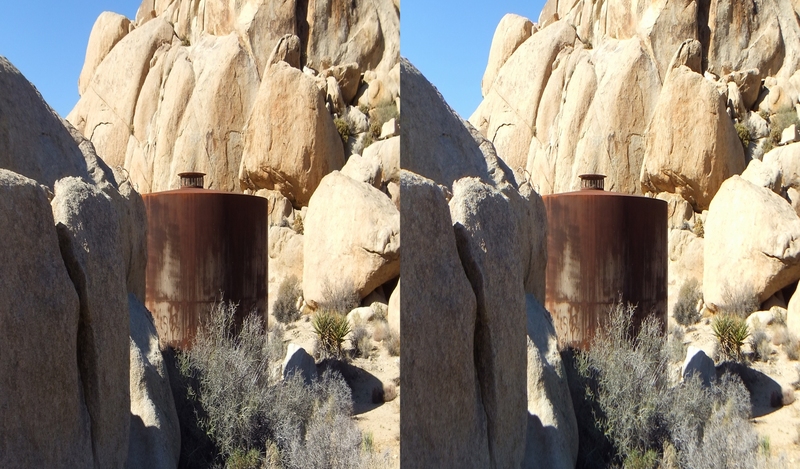 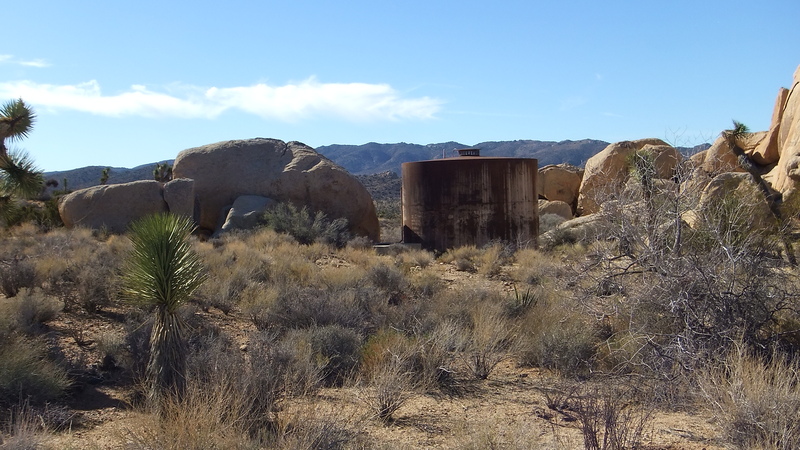 There is an old well nearby with a holding tank and pump station for the residence, which also supplied water through an iron pipe to Lost Horse Mine, three miles away. 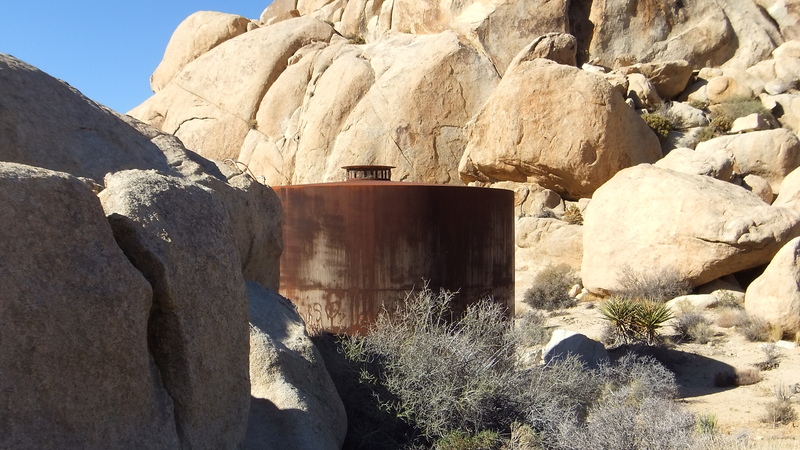 Hidden in the rocks above the main house ruins, a large steel water tank. 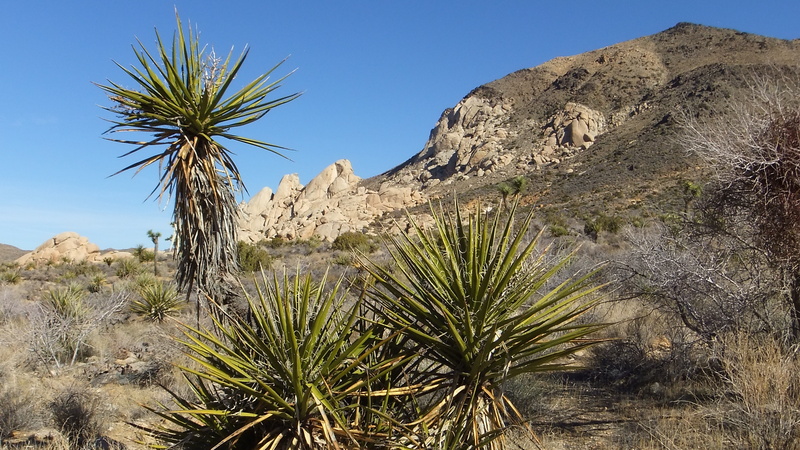 At an elevation of 4,300ft Ryan Ranch is located about three-quarters of a mile east of Cap Rock, along Park Blvd. 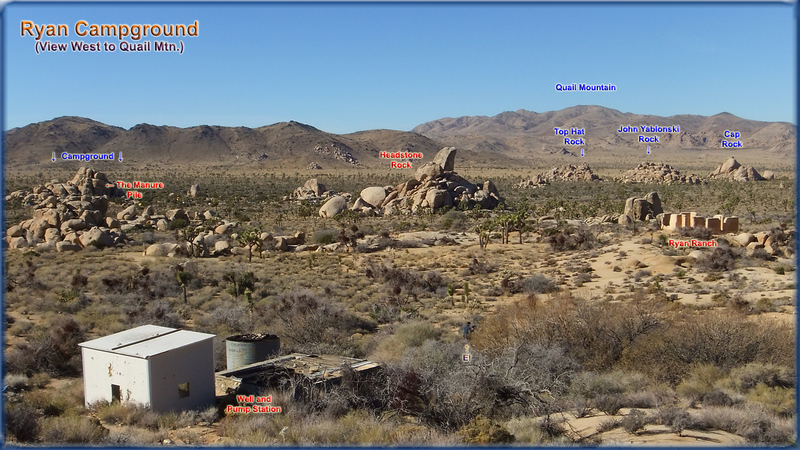 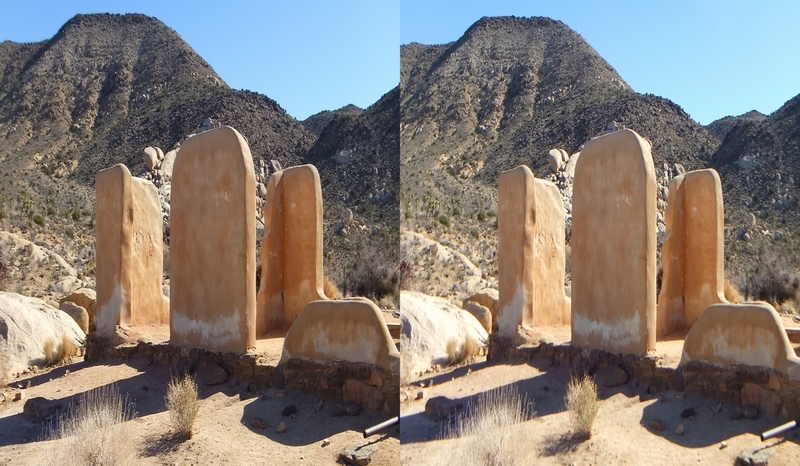 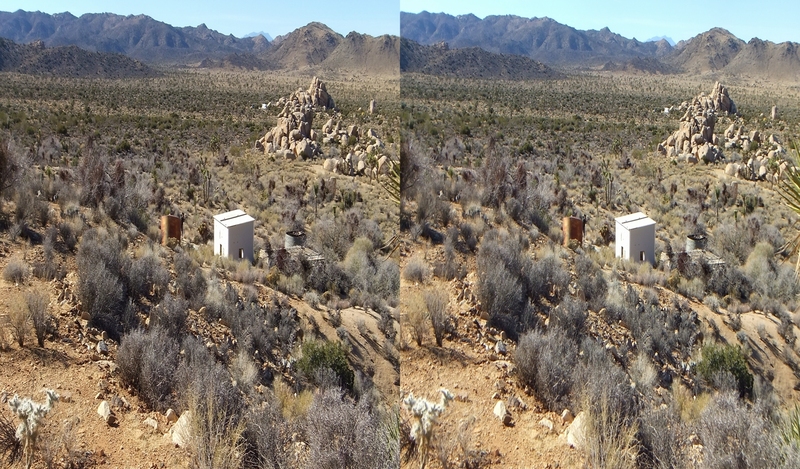 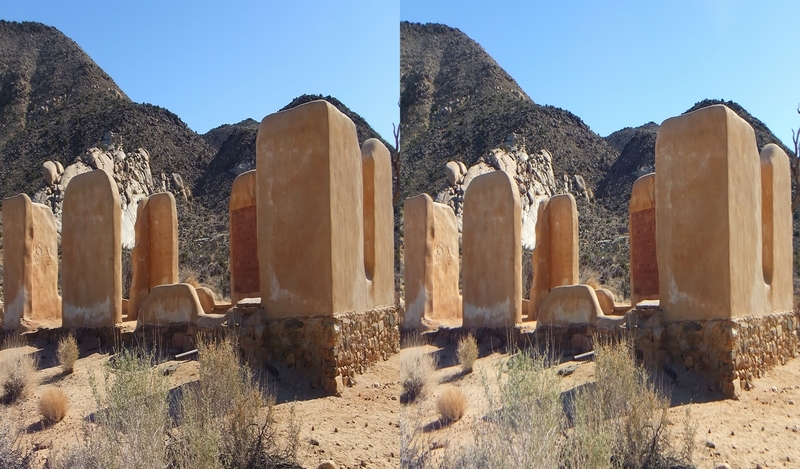 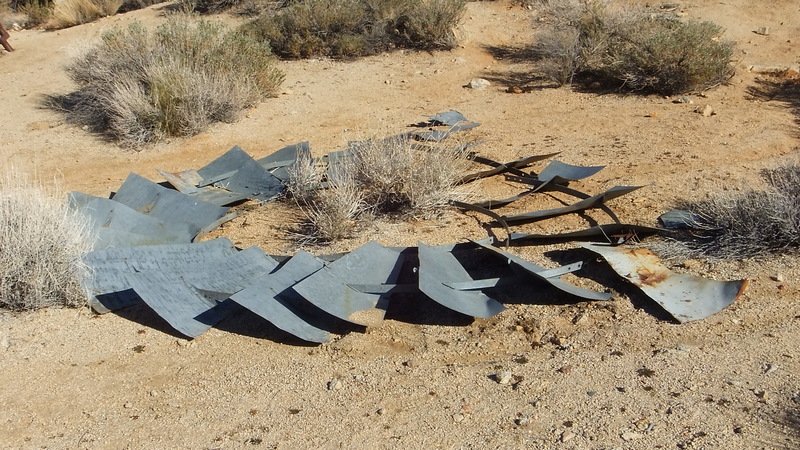 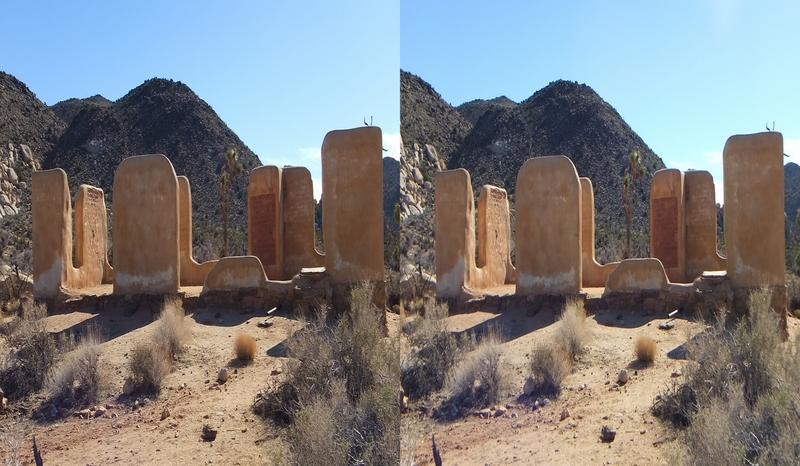 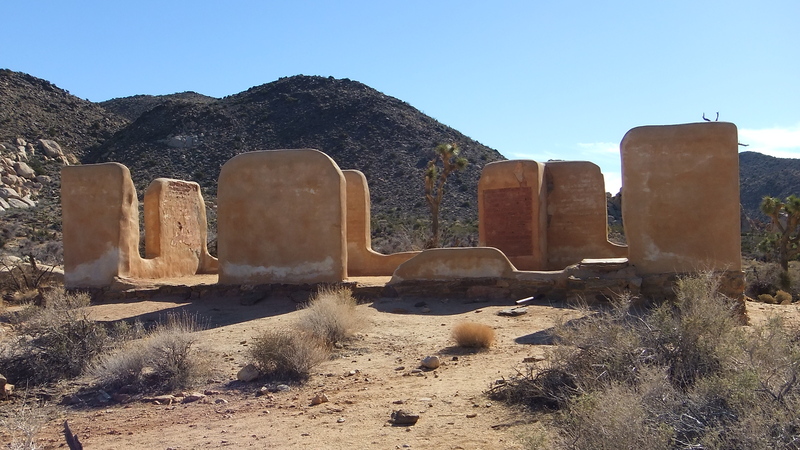 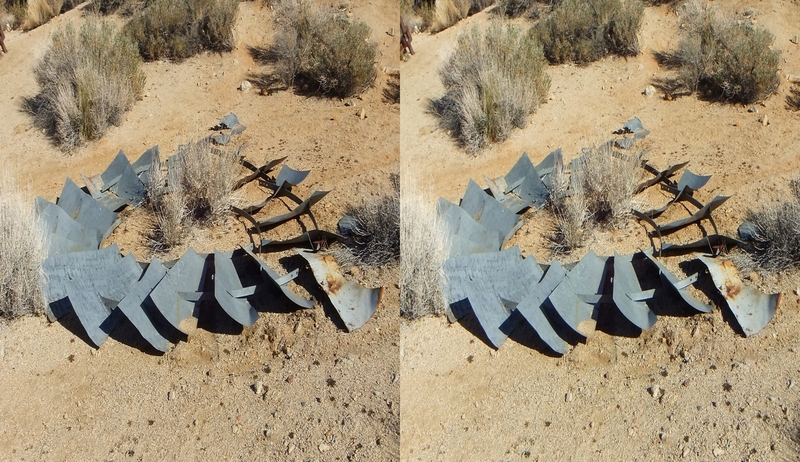 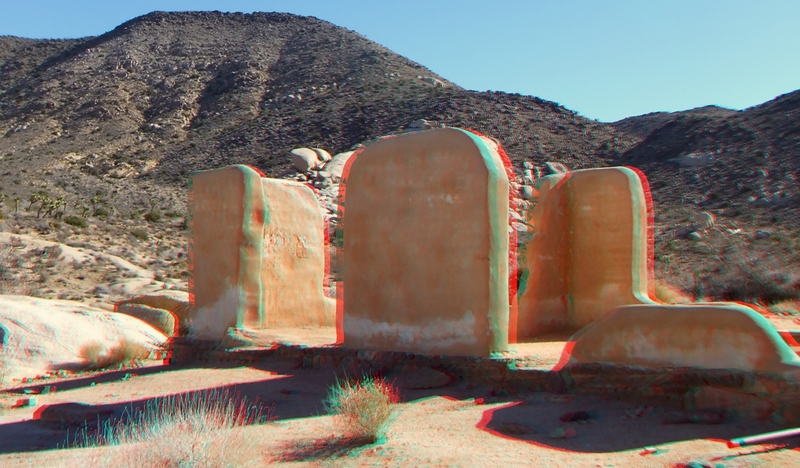 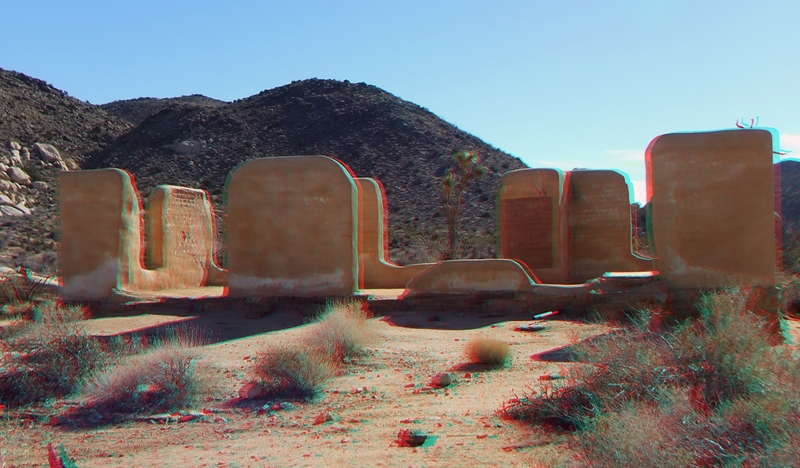 The grave of Frank James (discoverer of the Desert Queen Mine) is located east of Headstone Rock, near the house ruins. 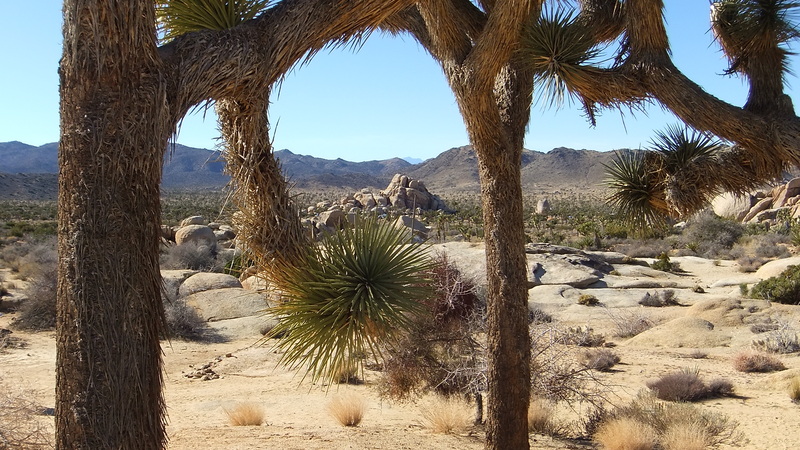 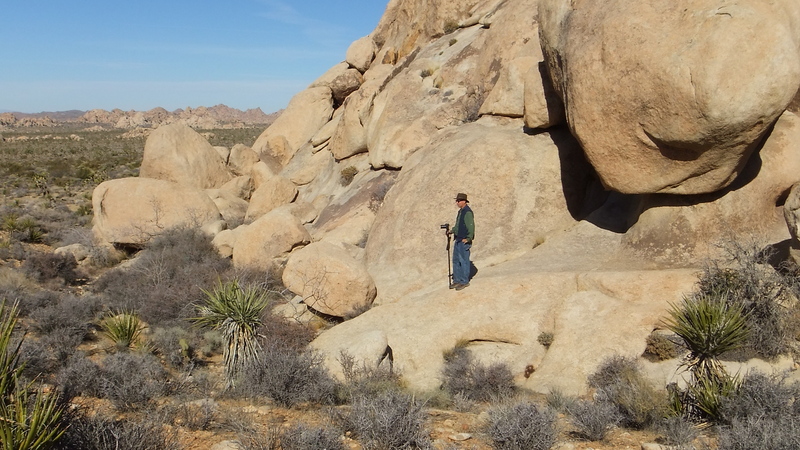 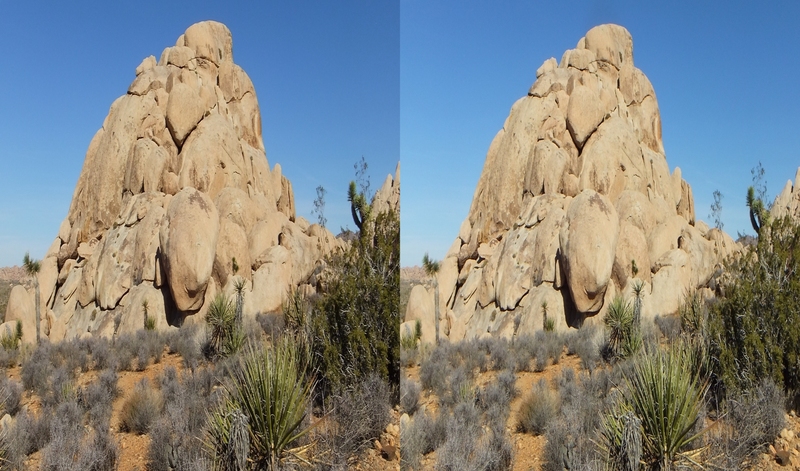 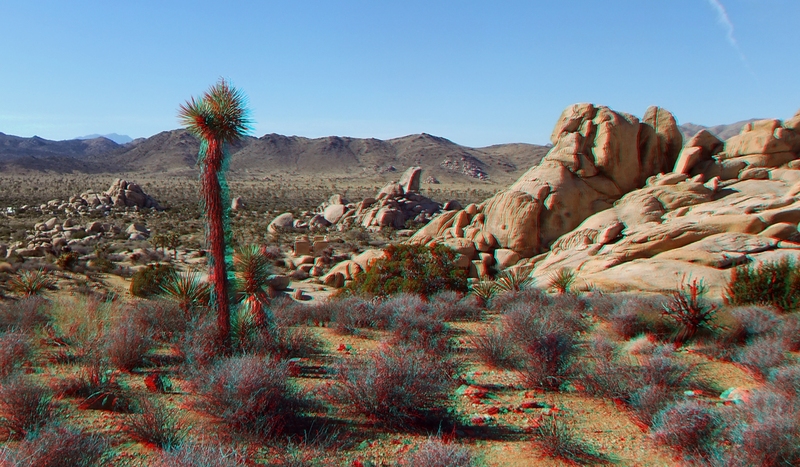 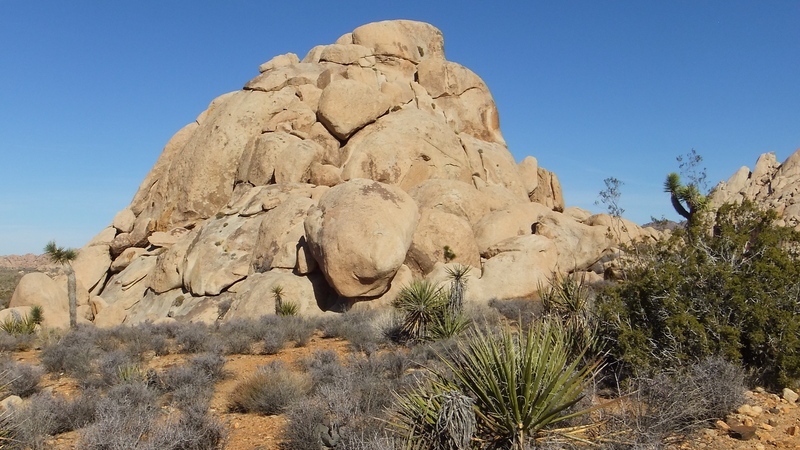 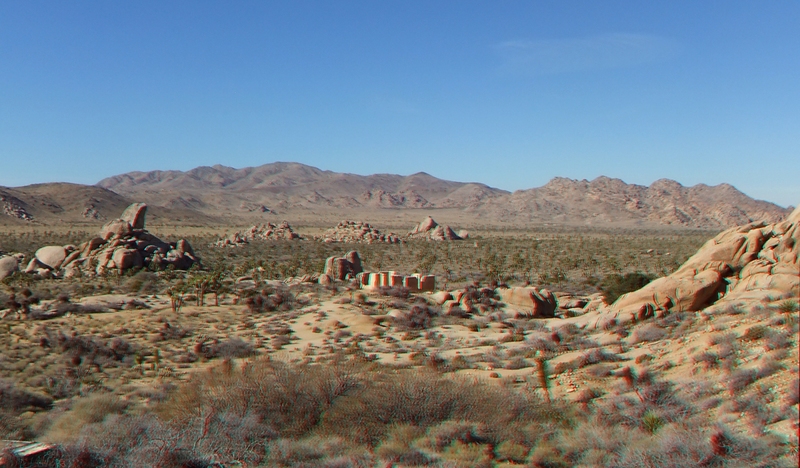 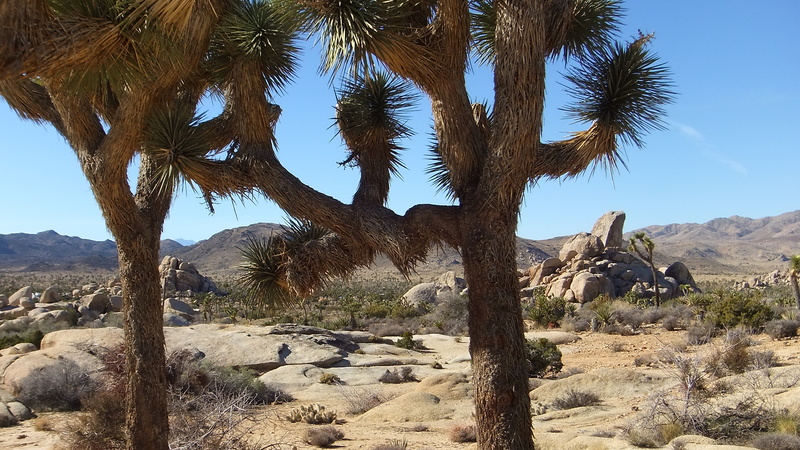 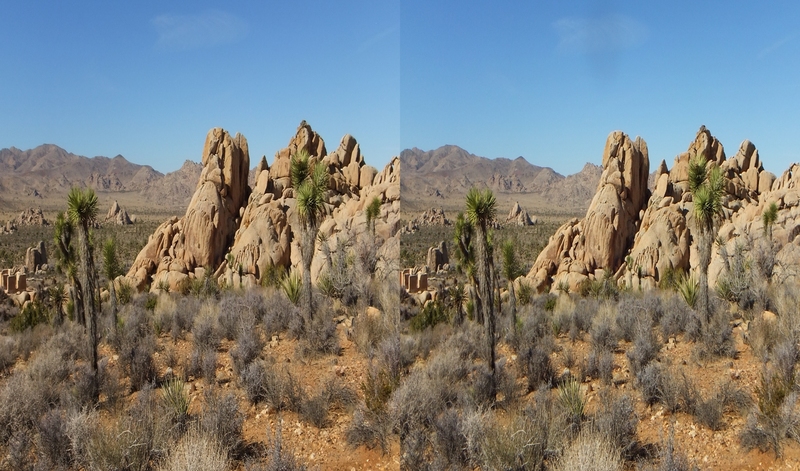 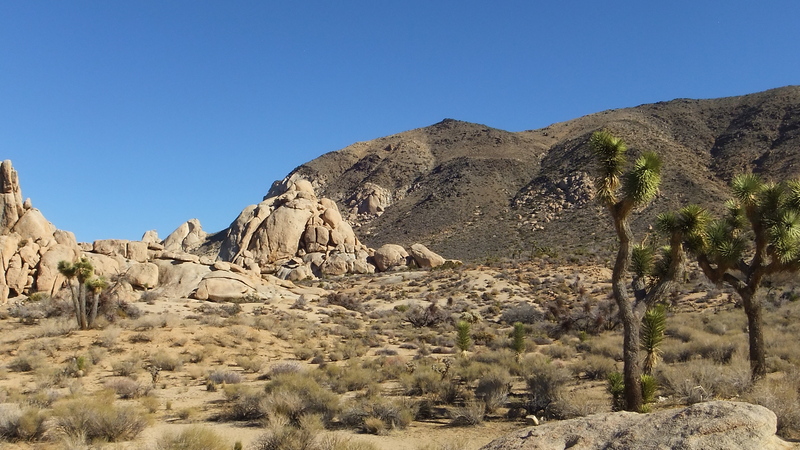 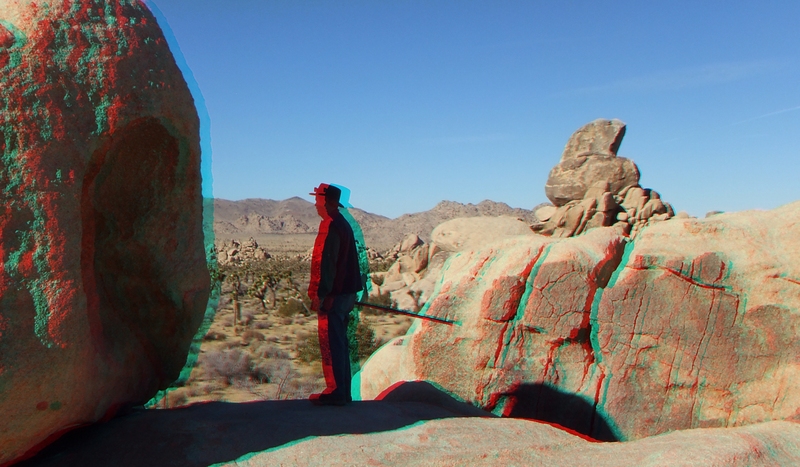 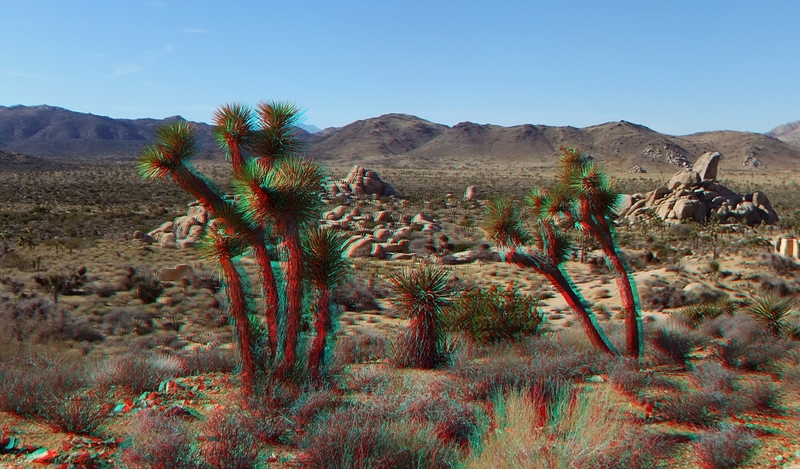 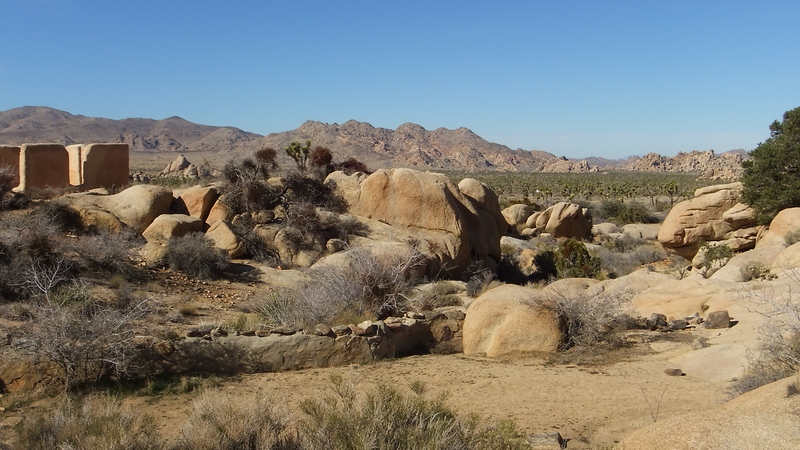 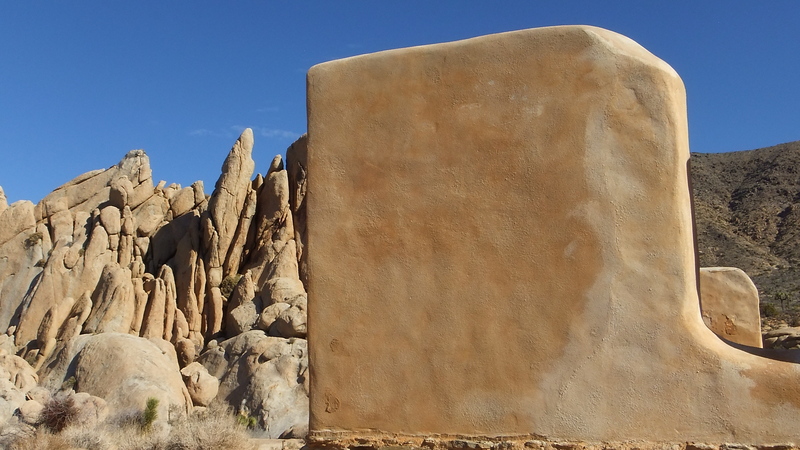 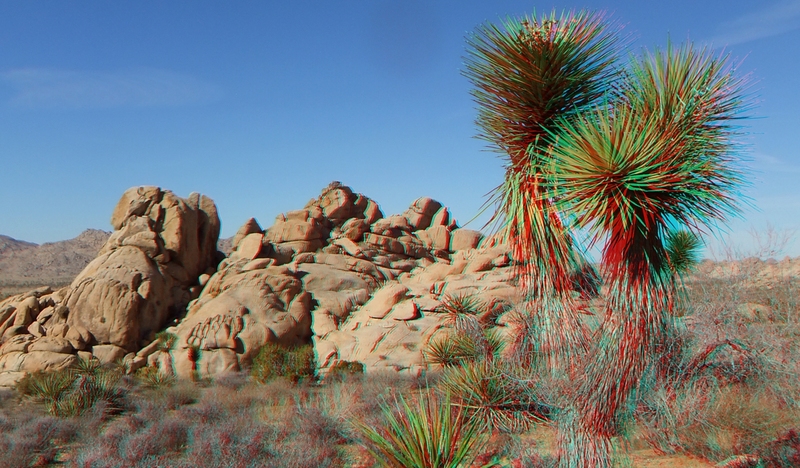 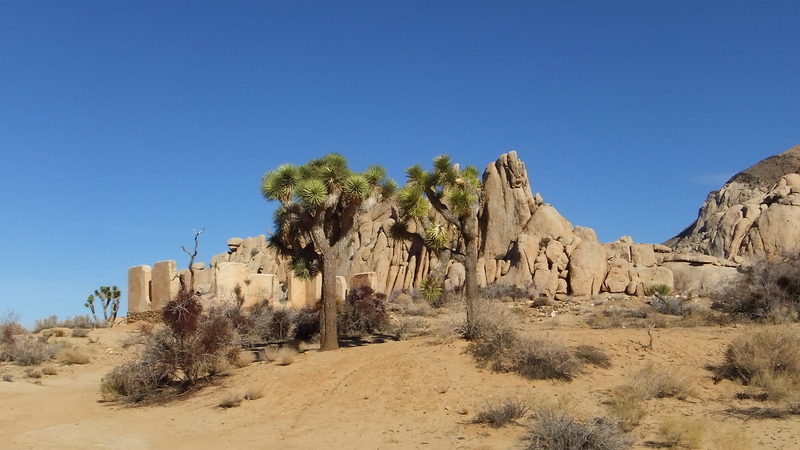 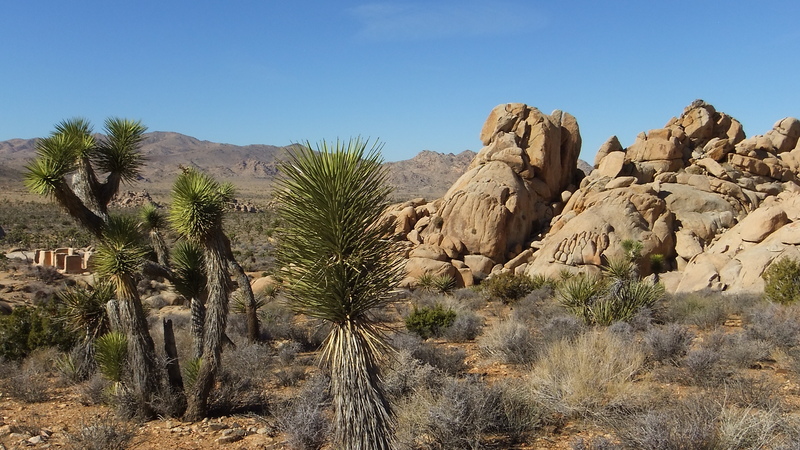 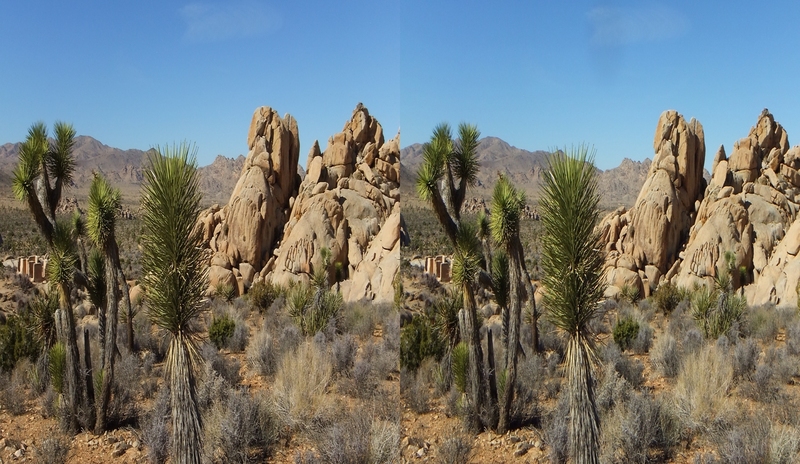 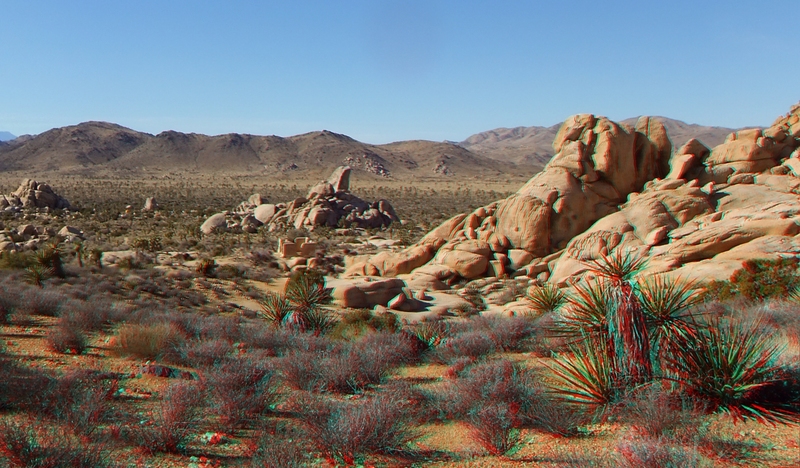 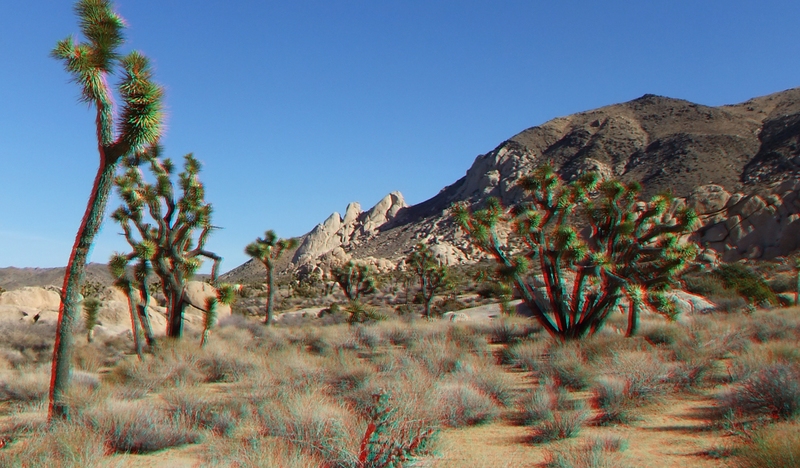 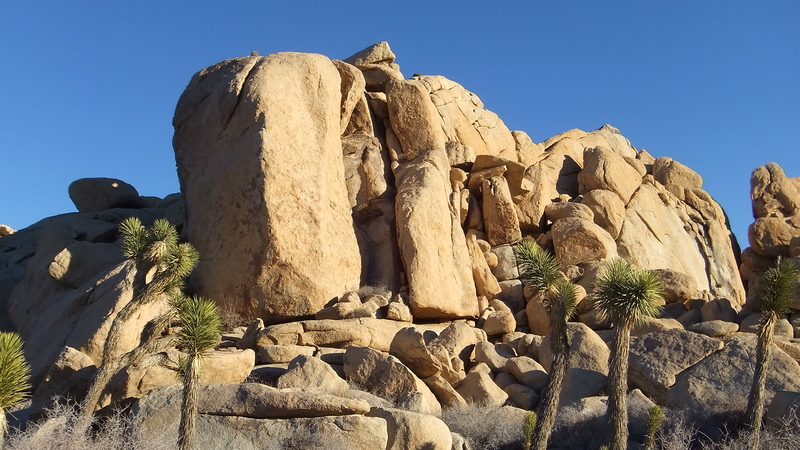 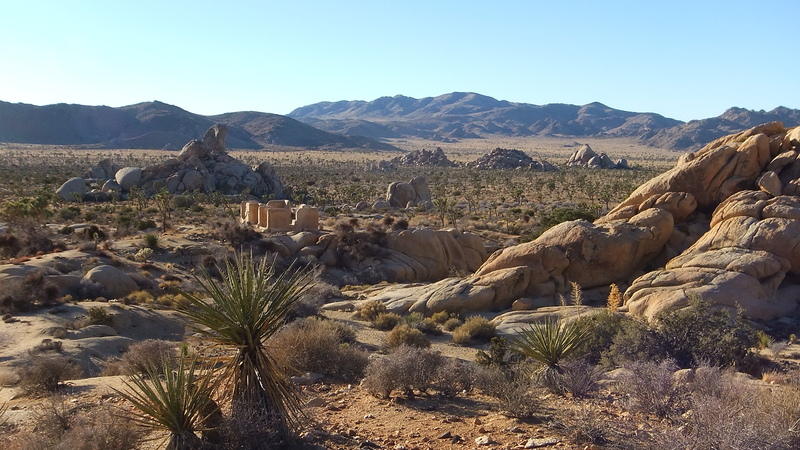 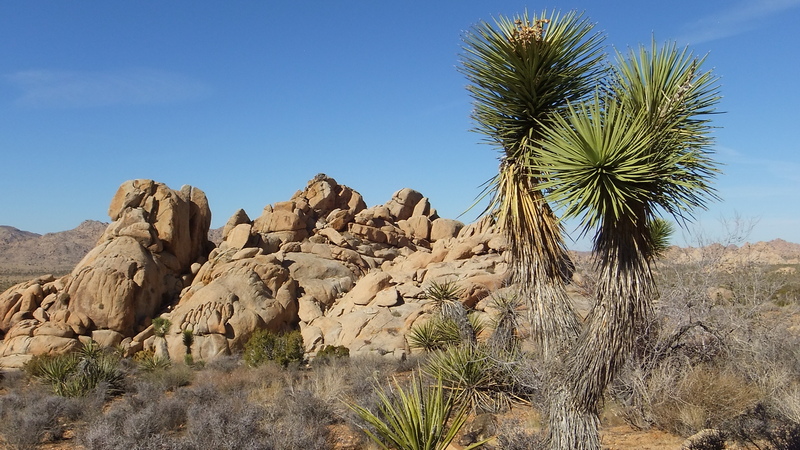 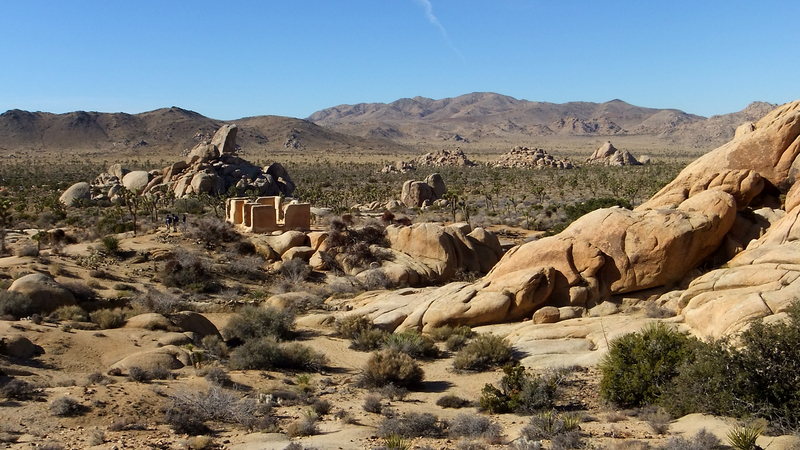 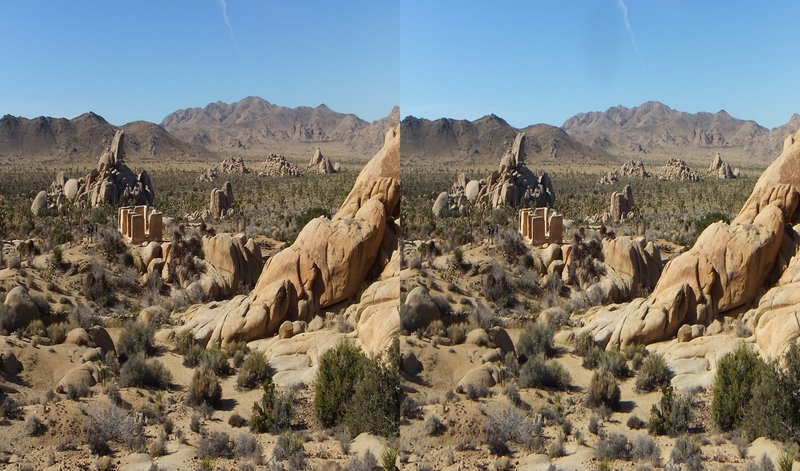 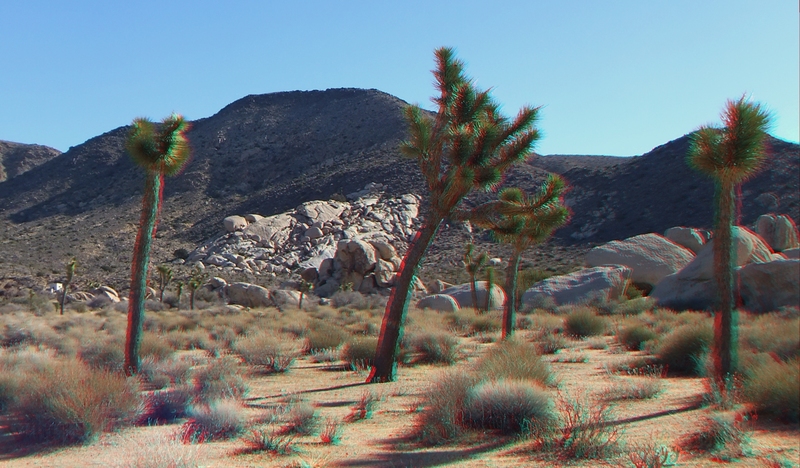 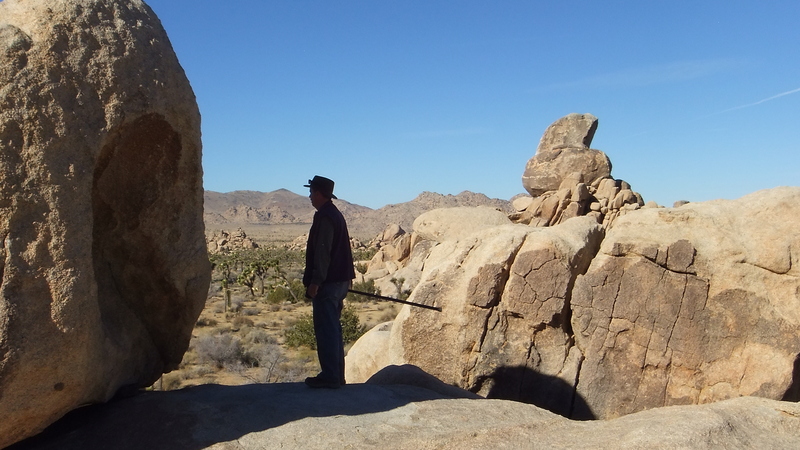 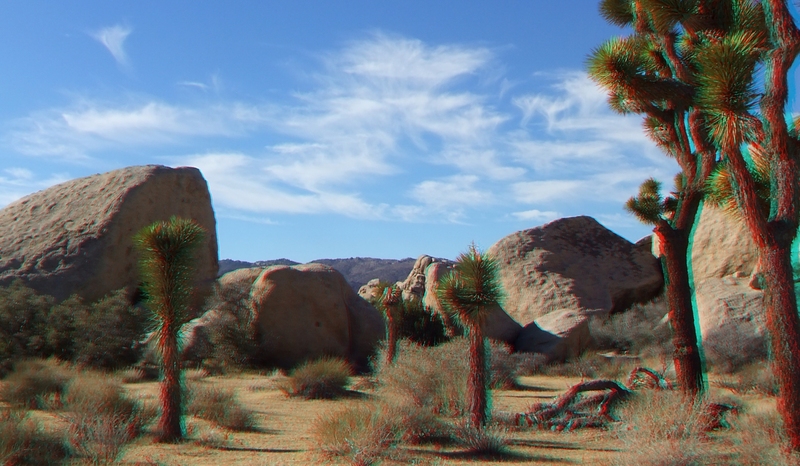 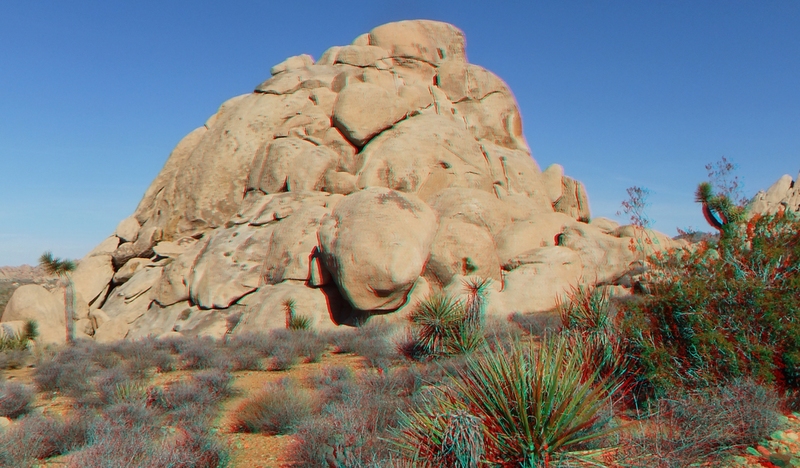 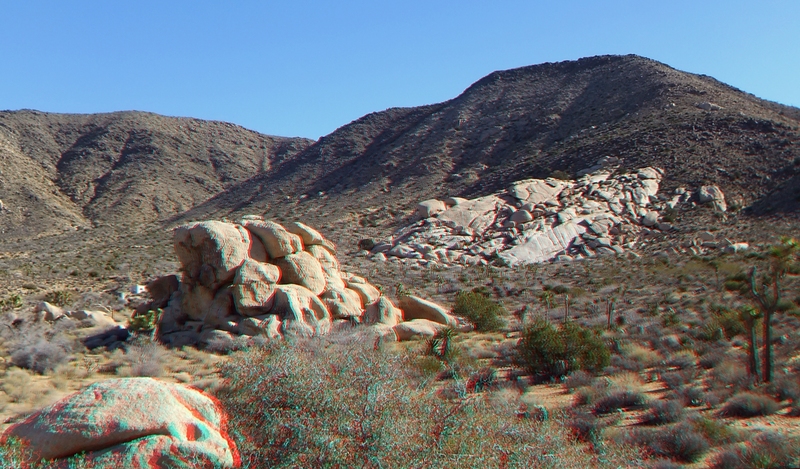 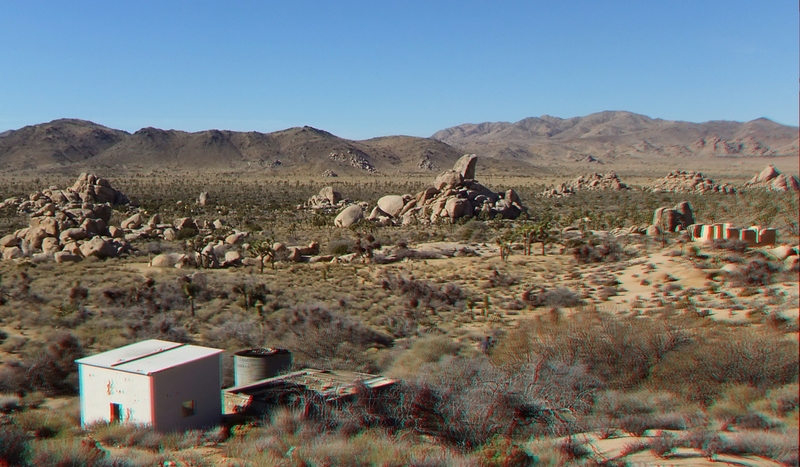 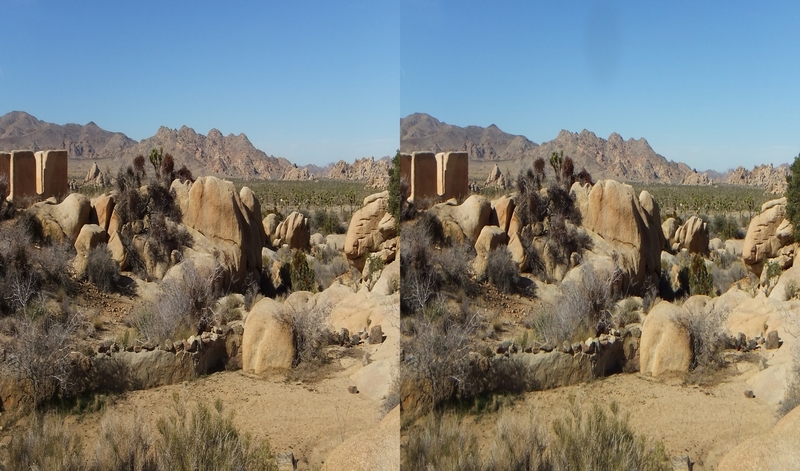 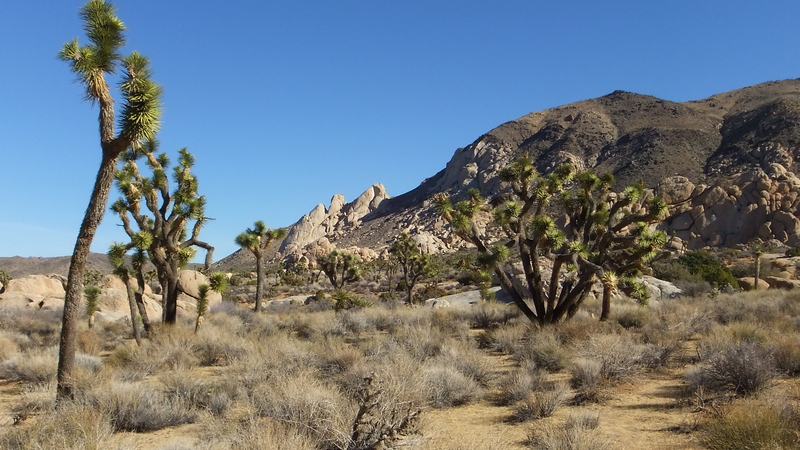 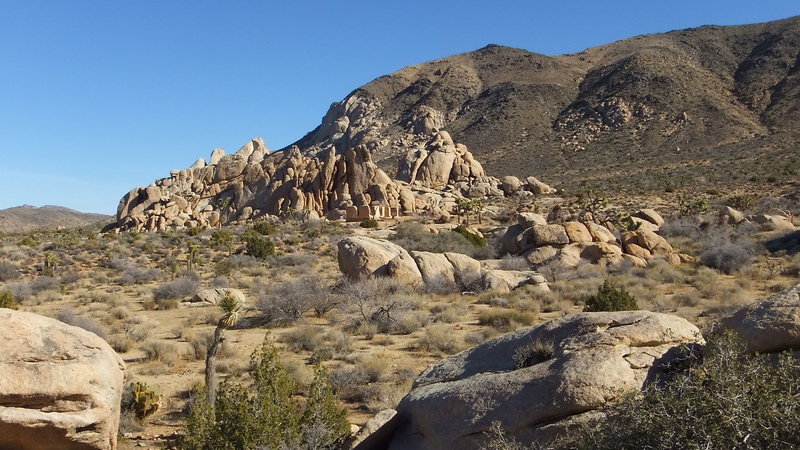 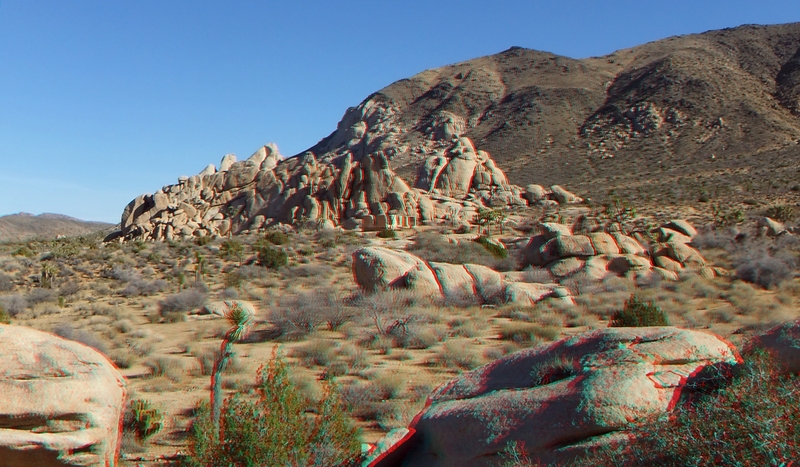 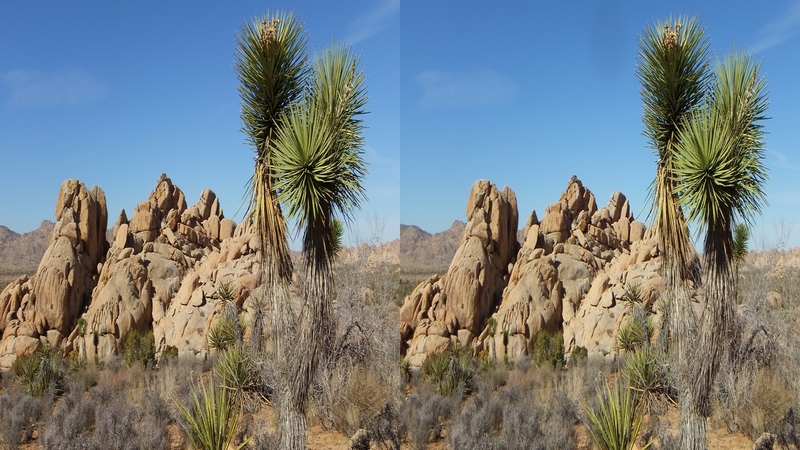 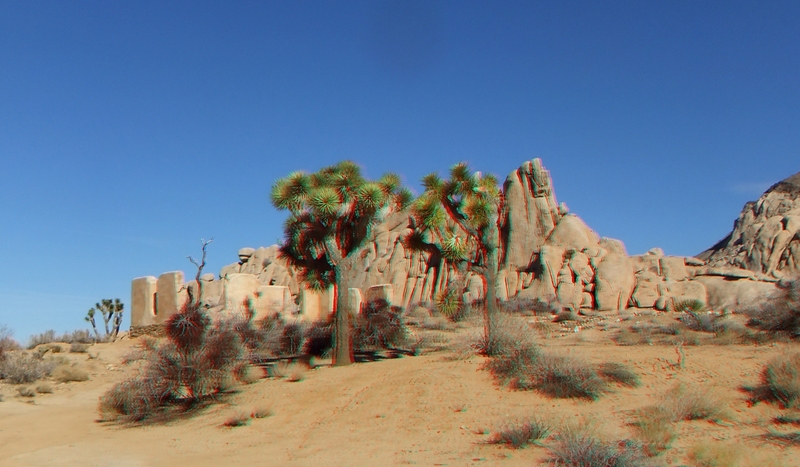 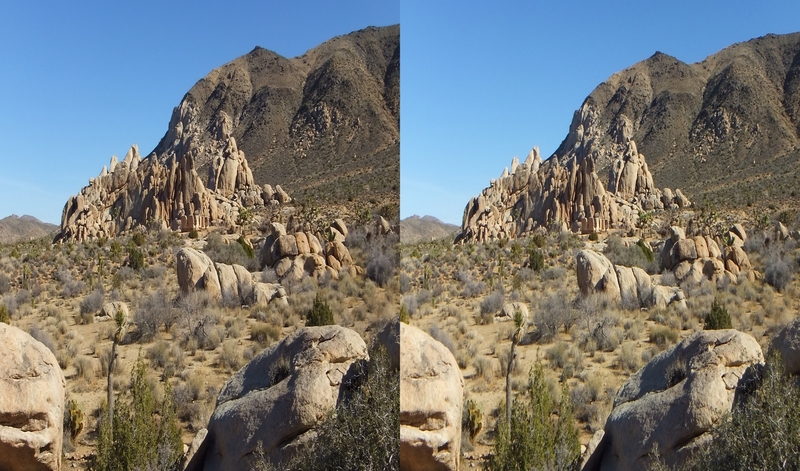 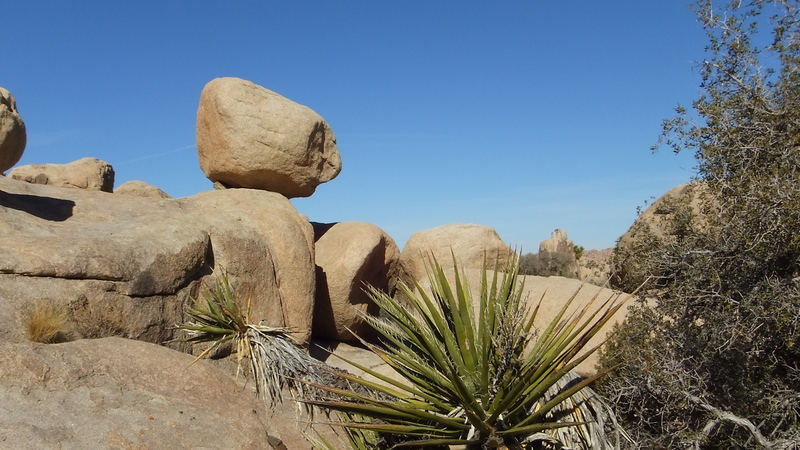 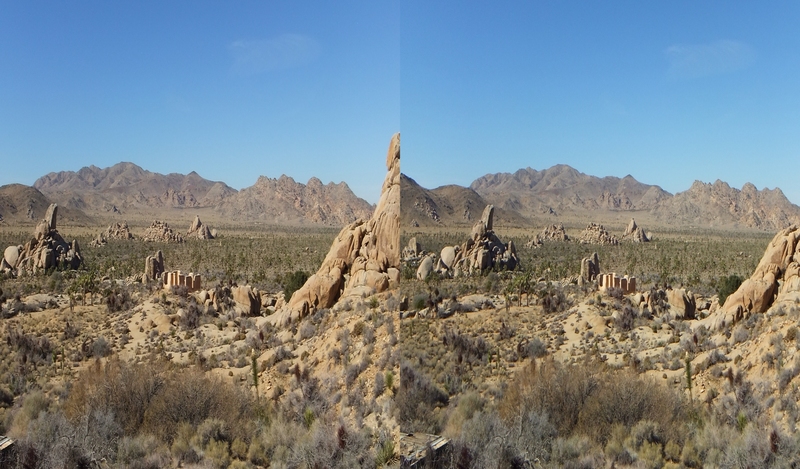 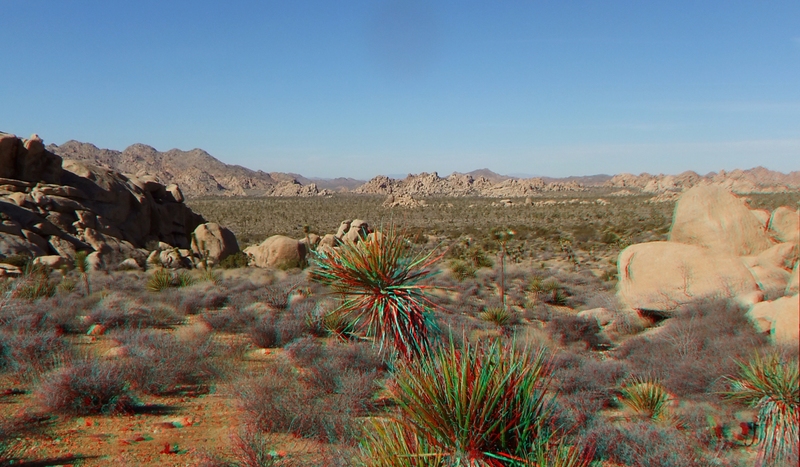 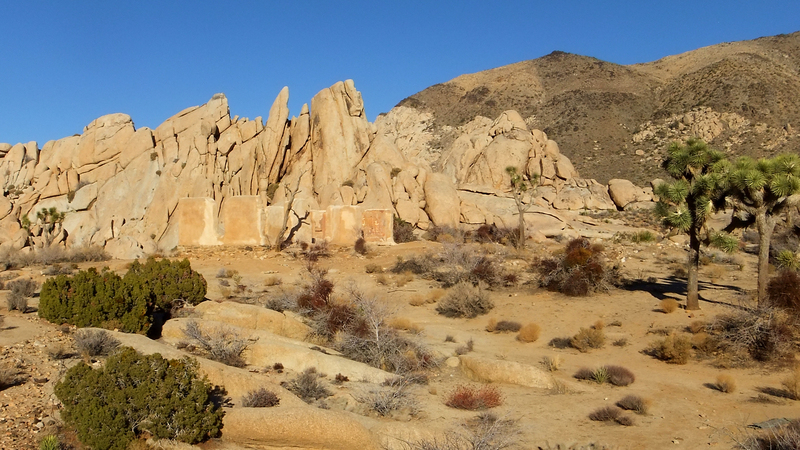 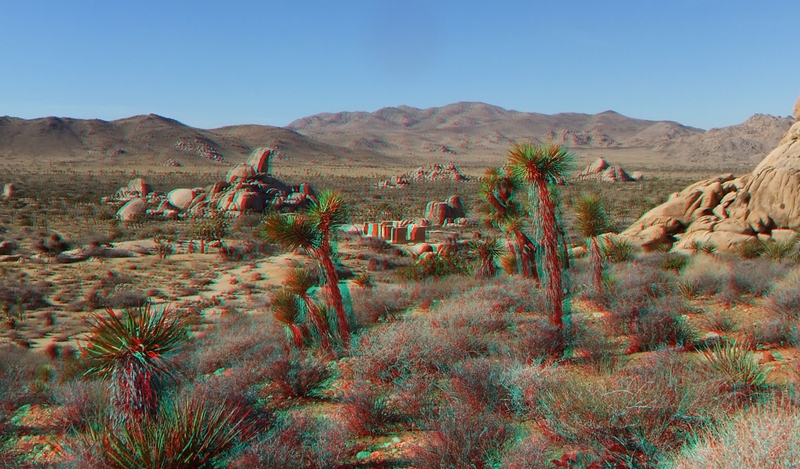 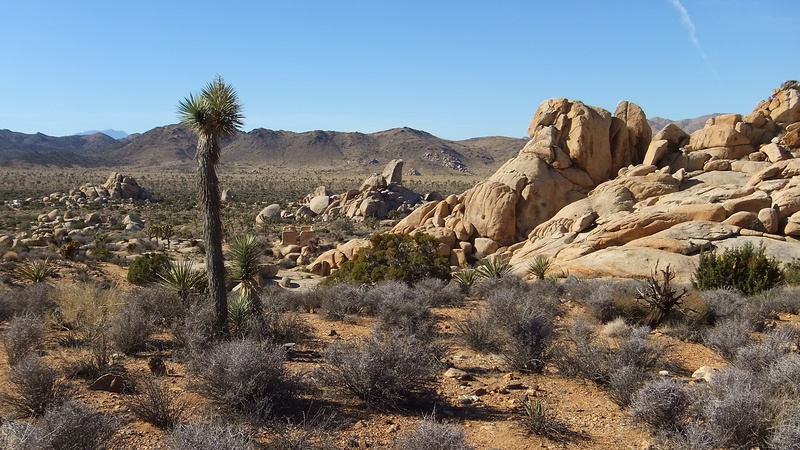 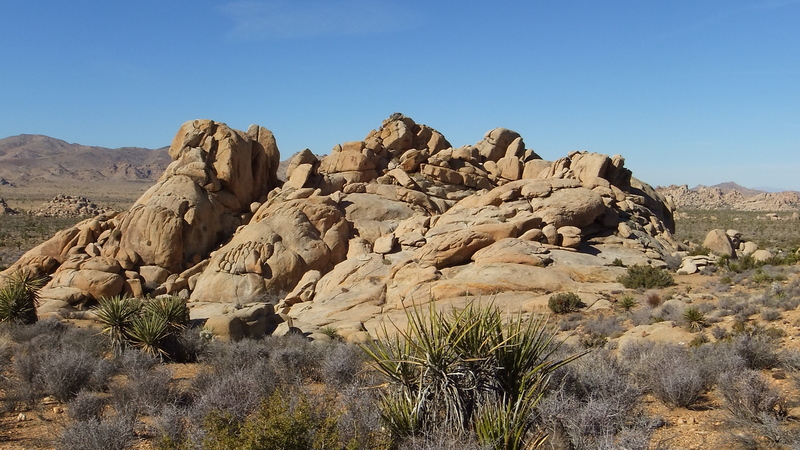 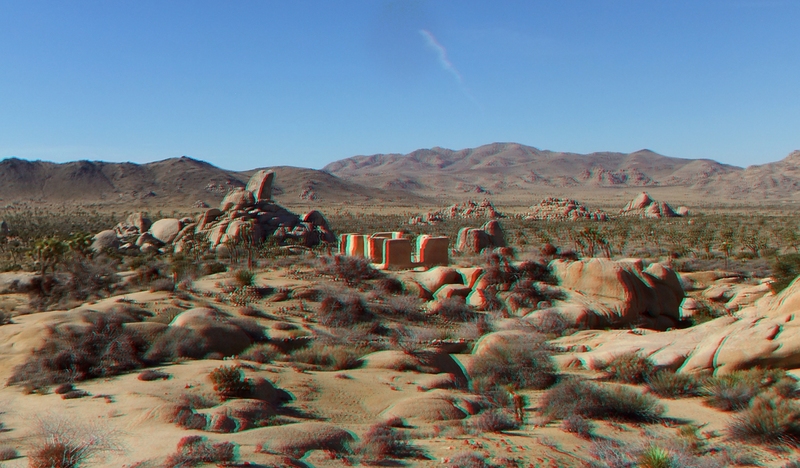 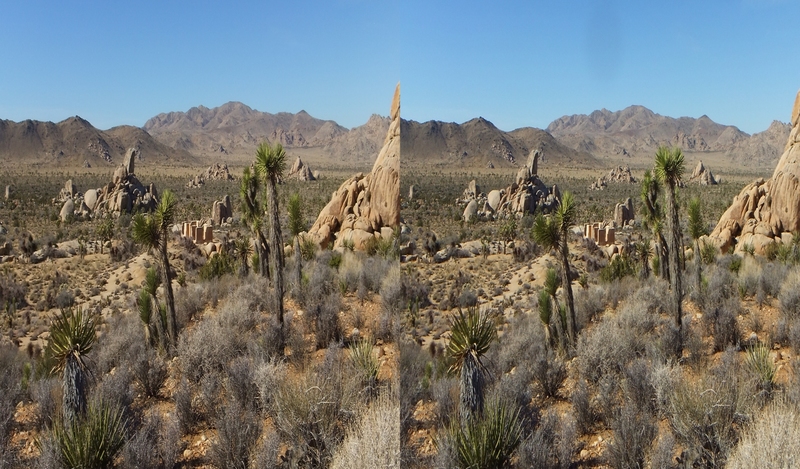 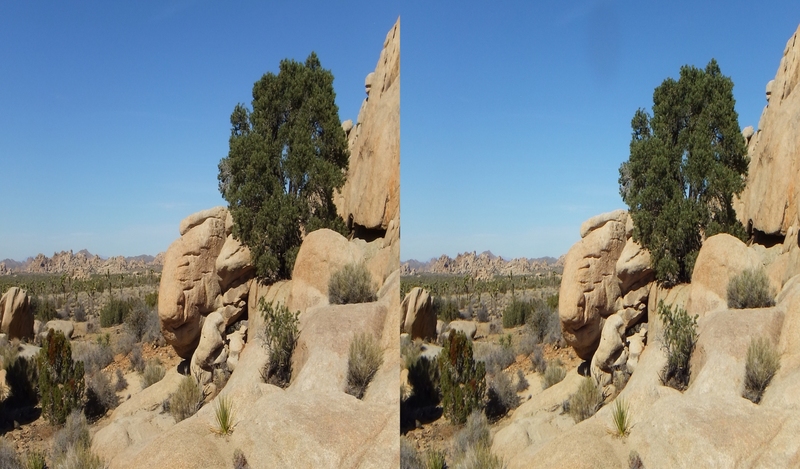 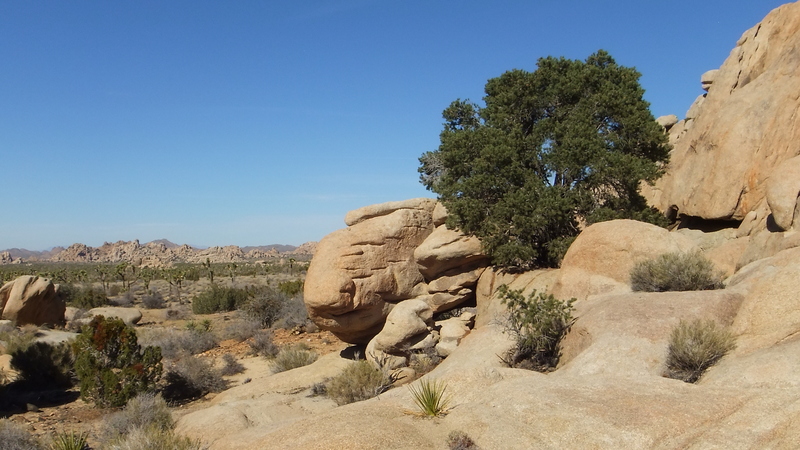 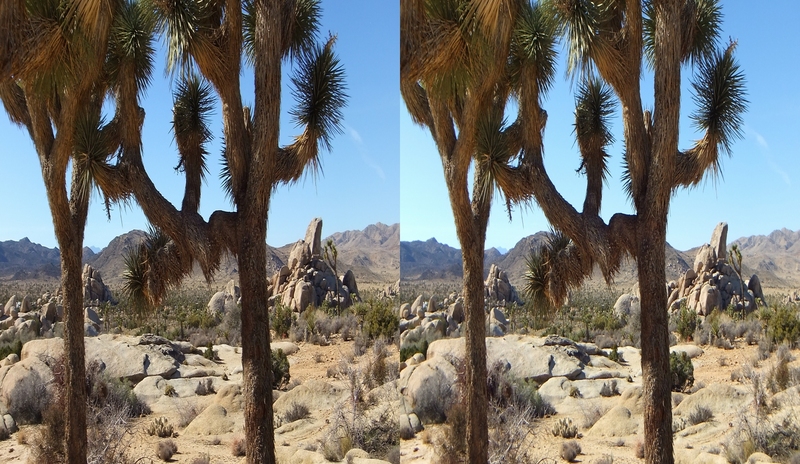 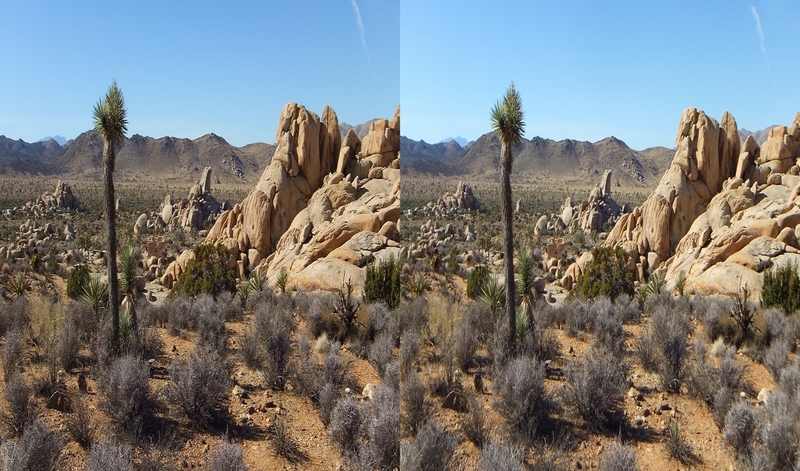 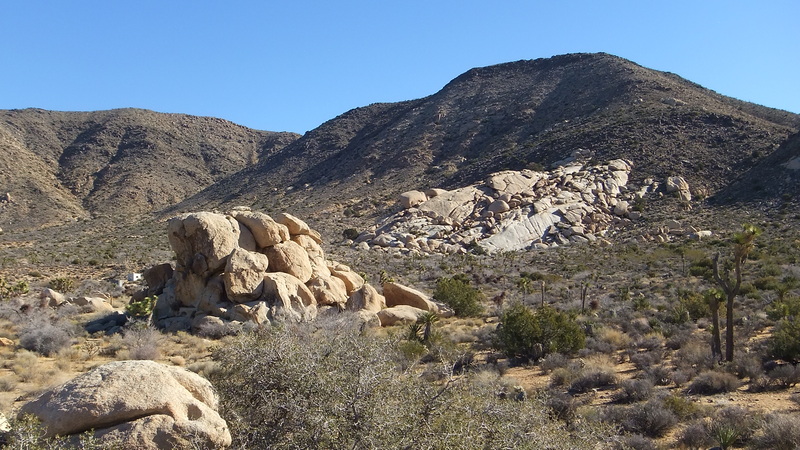 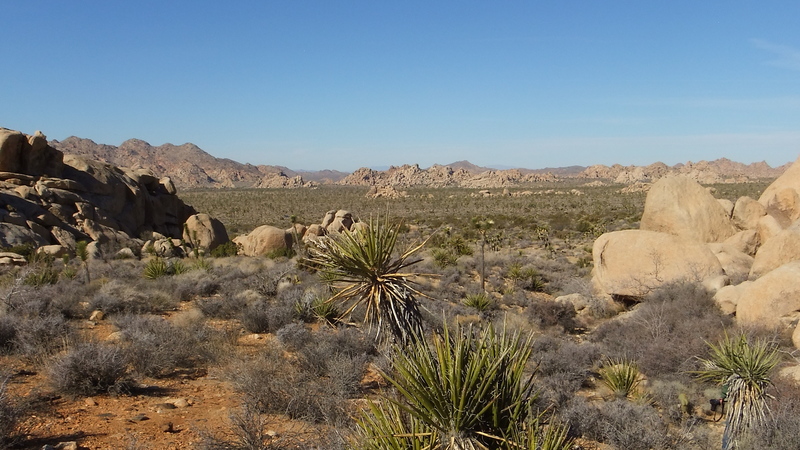 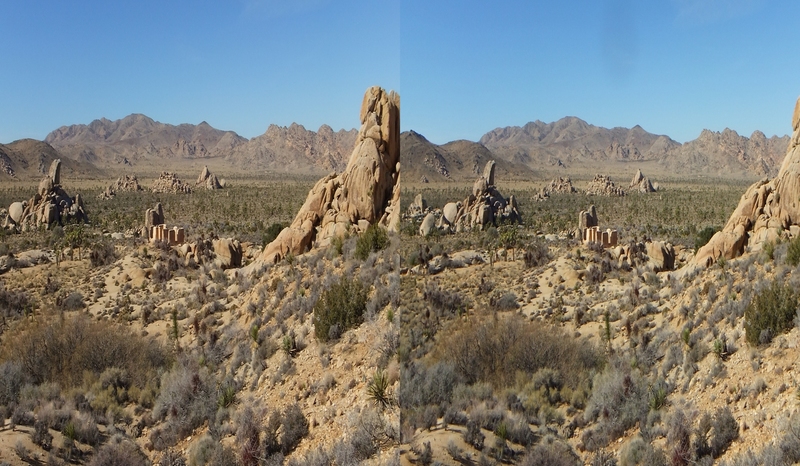 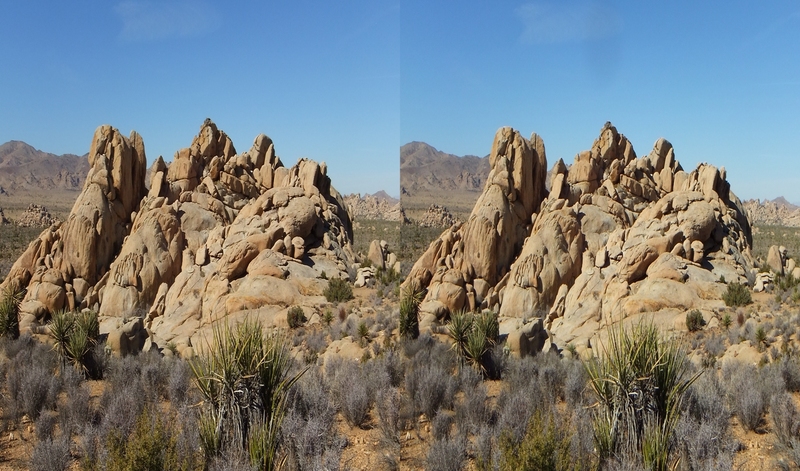 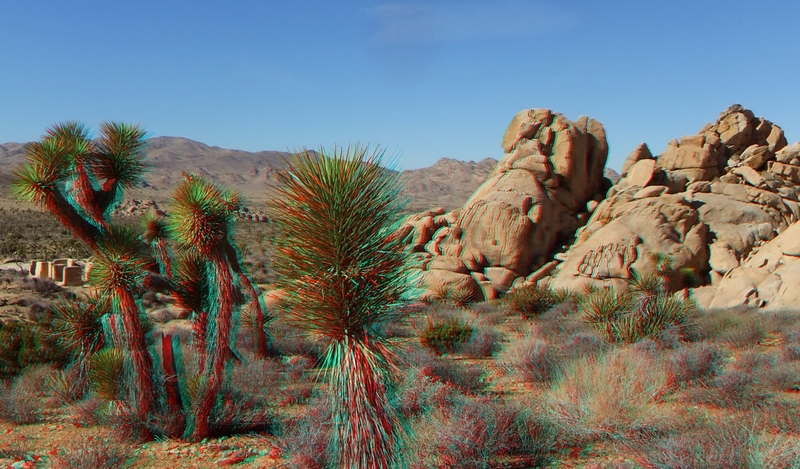 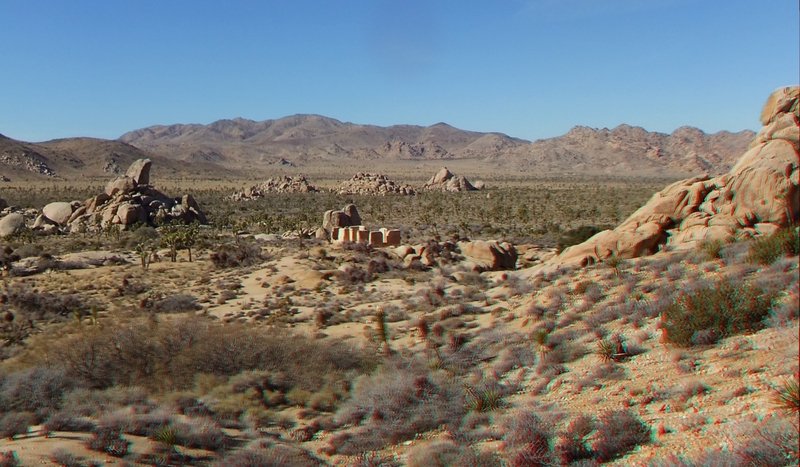 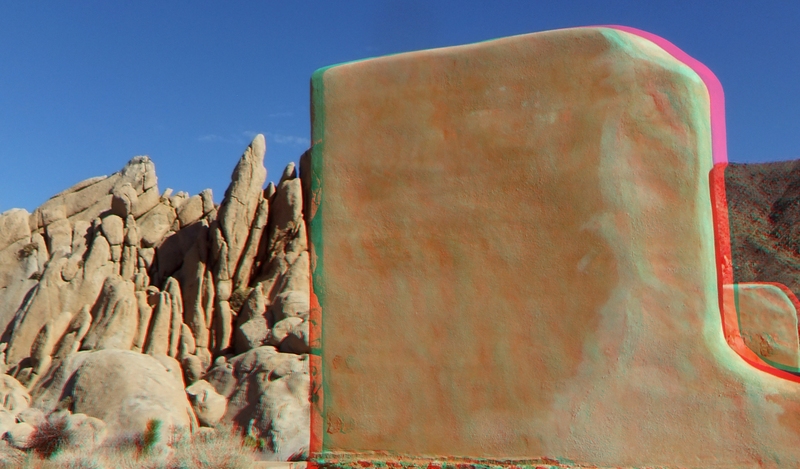 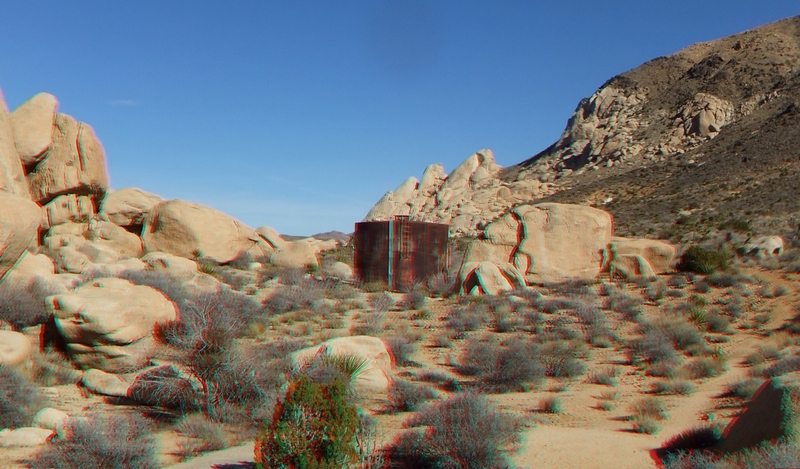 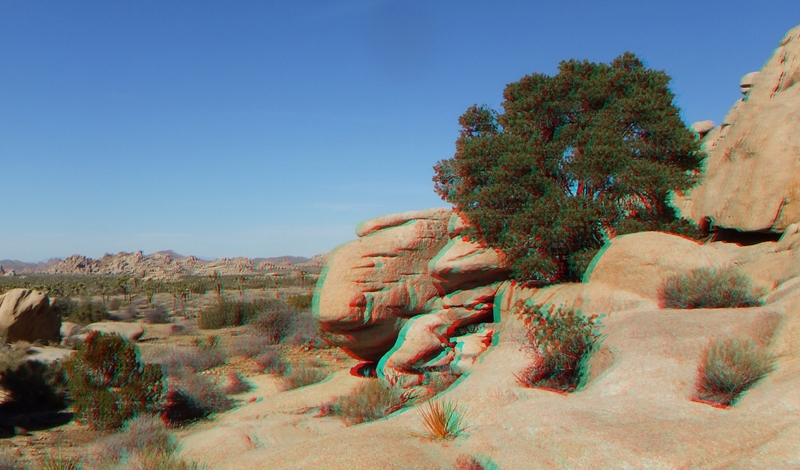 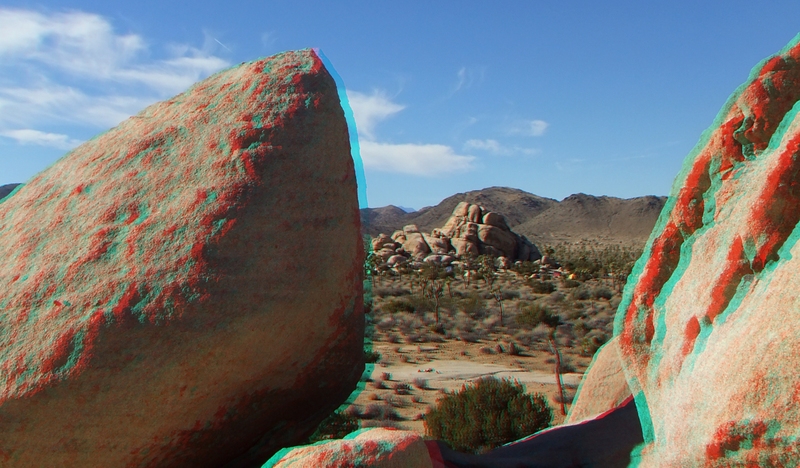 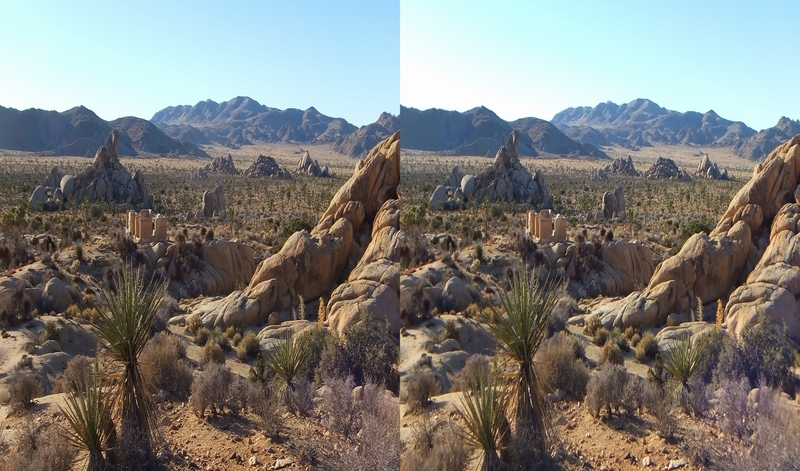 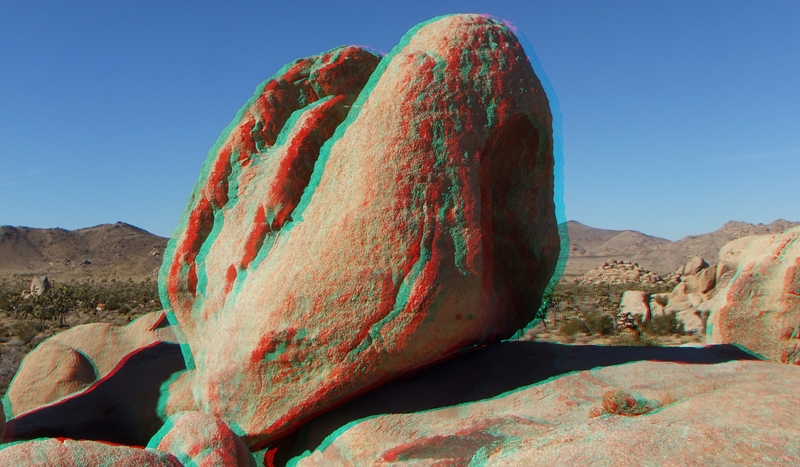 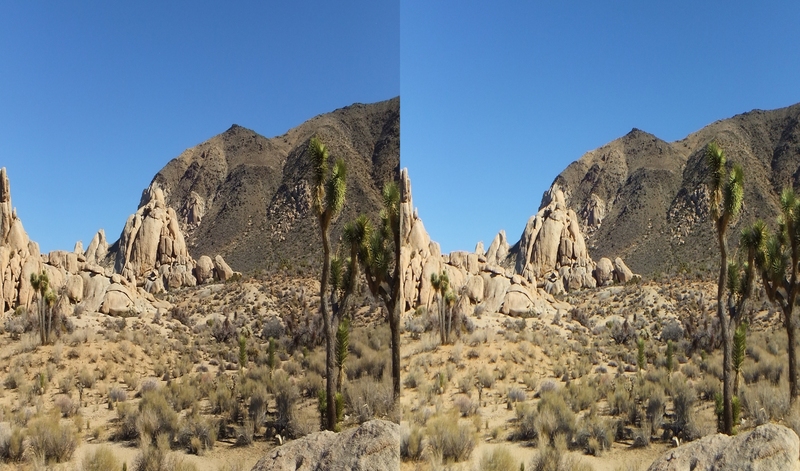 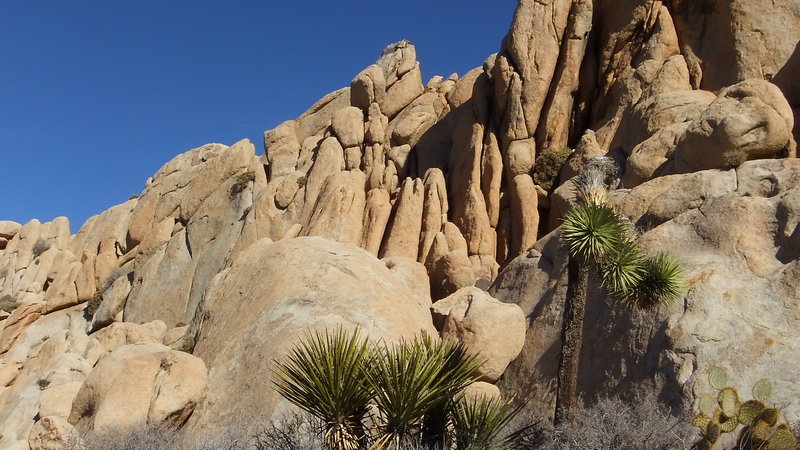 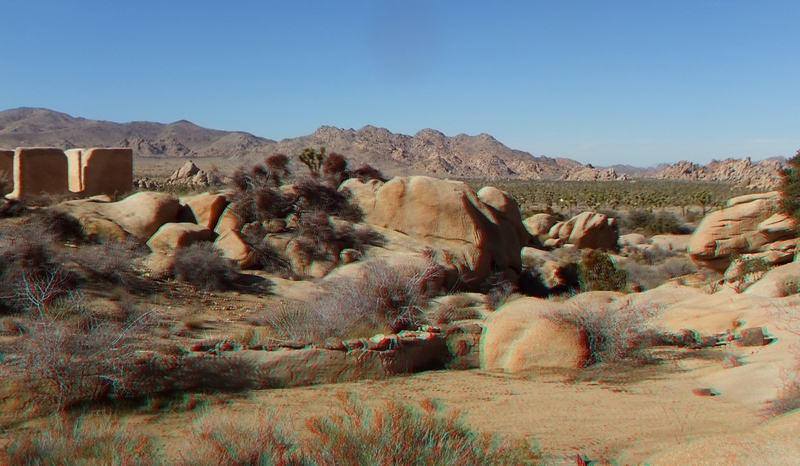 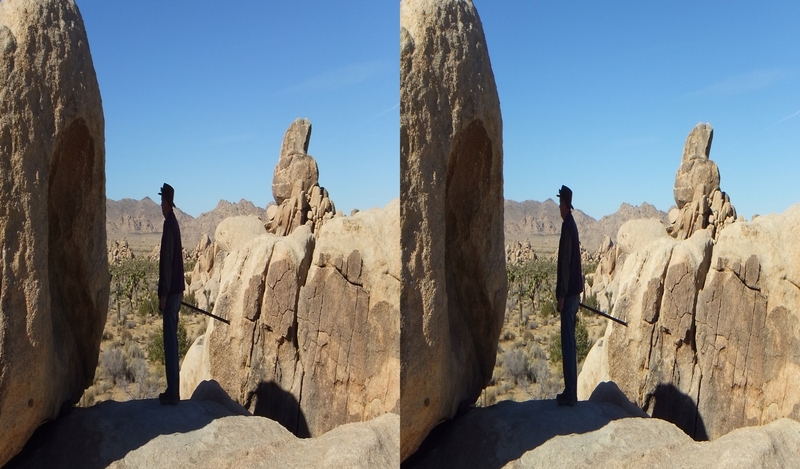 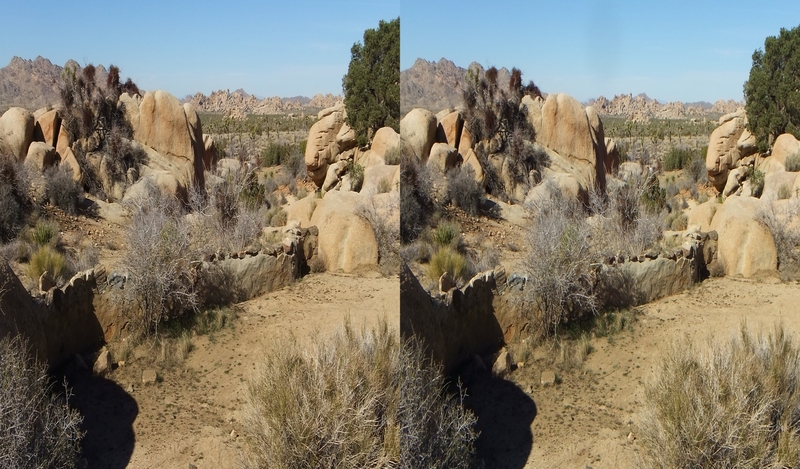 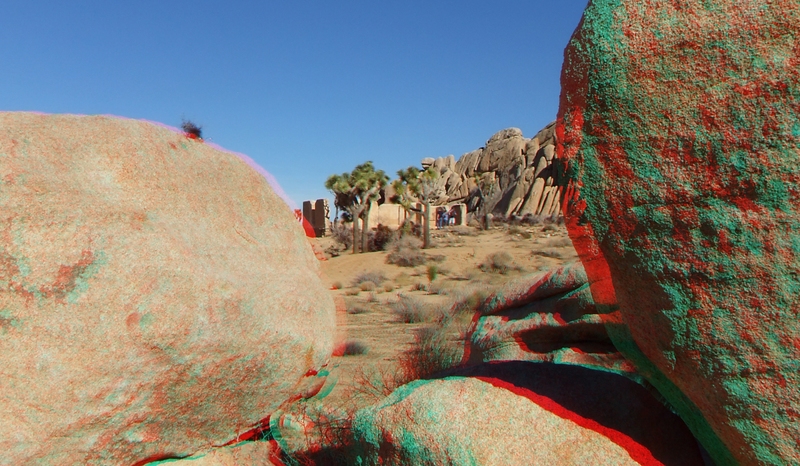 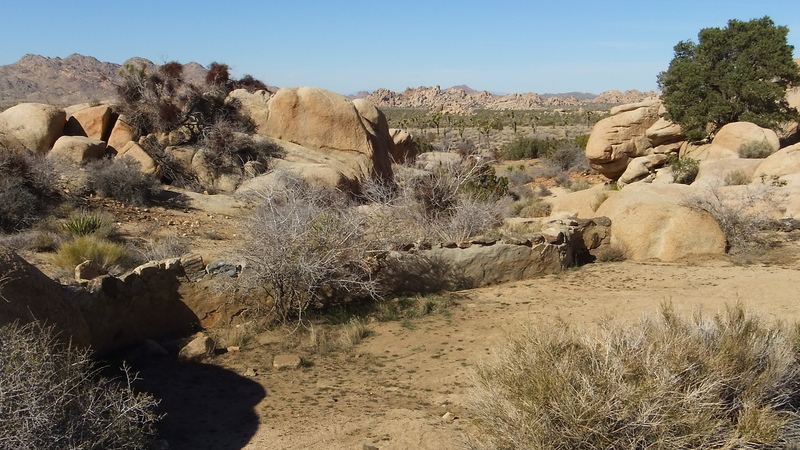 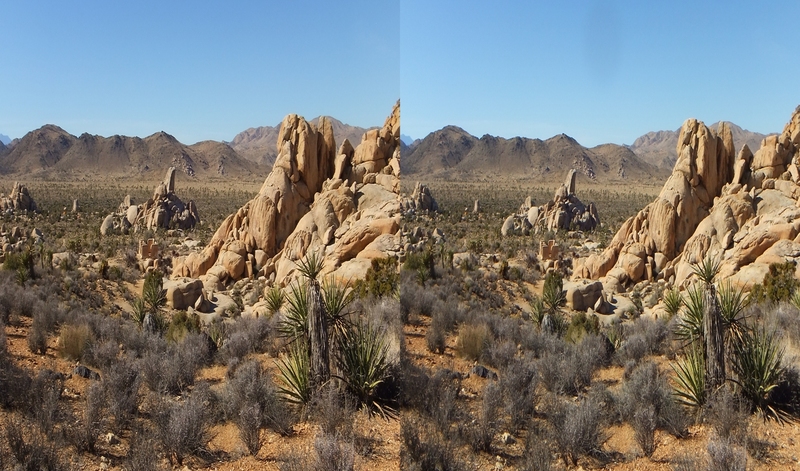 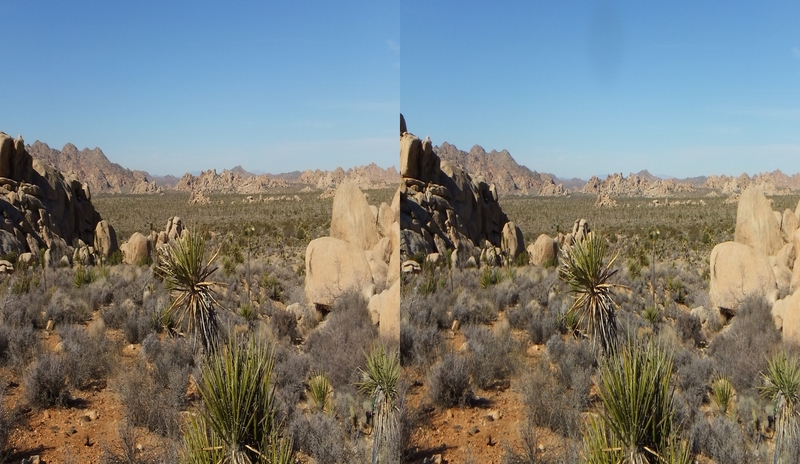 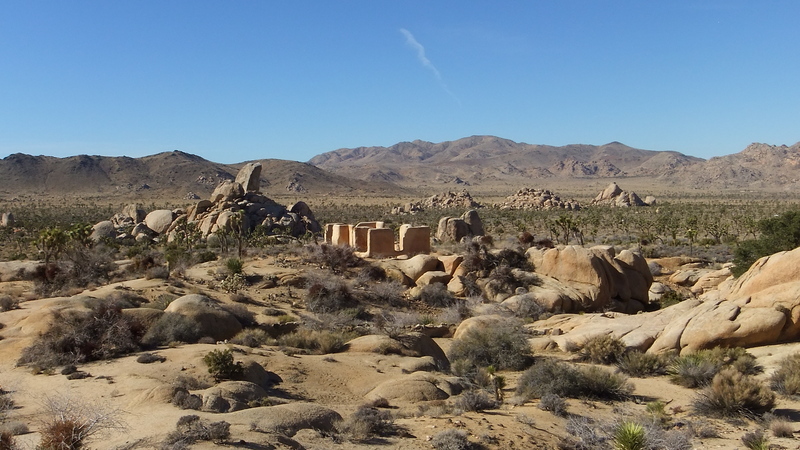 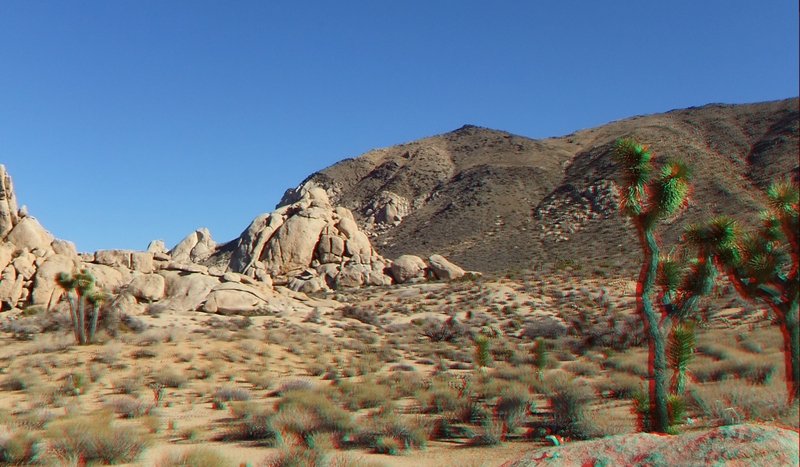 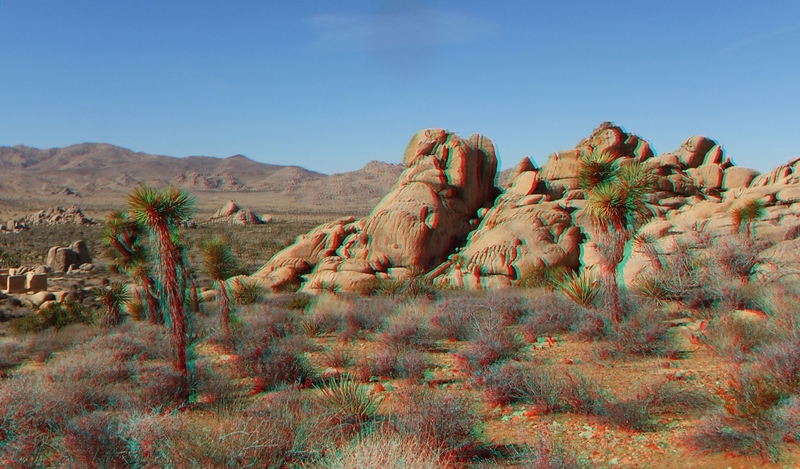 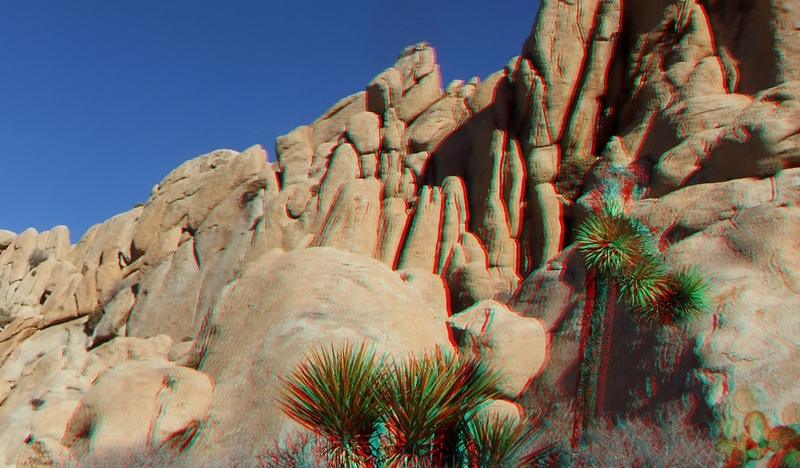 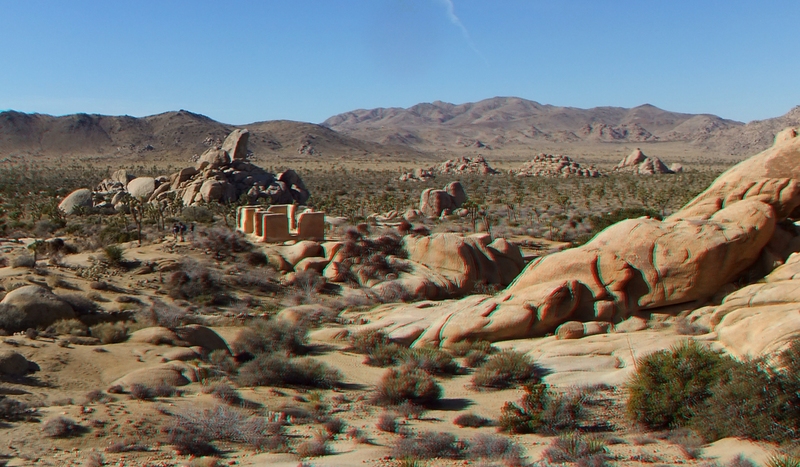 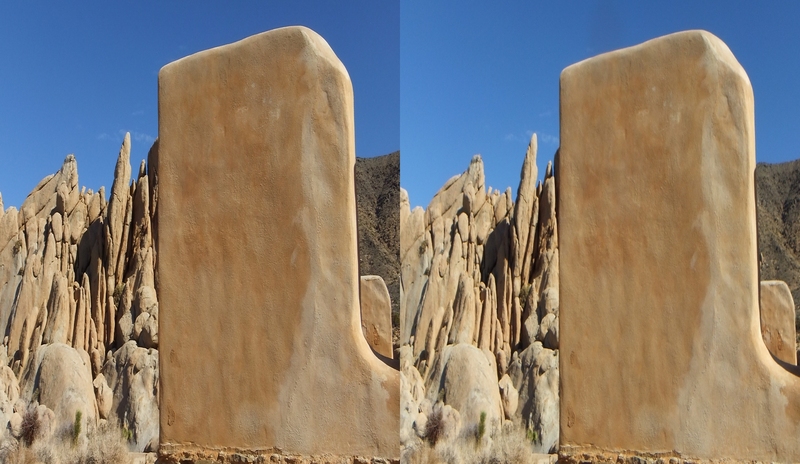 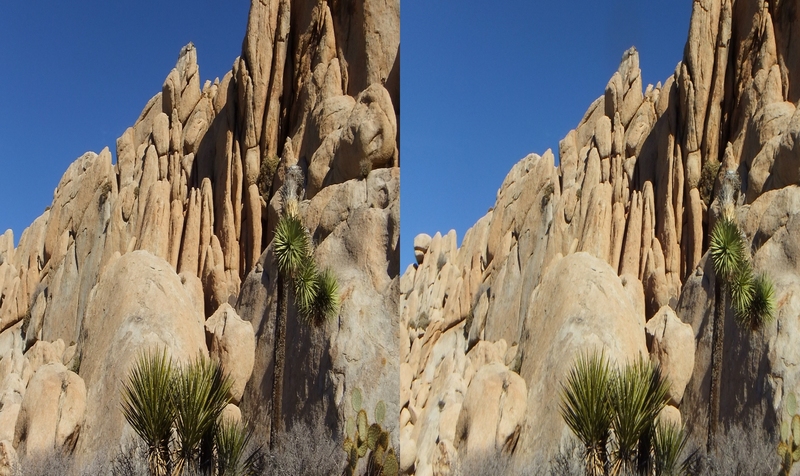 As is typical for Joshua Tree National Park, there are numerous boulders lying around. 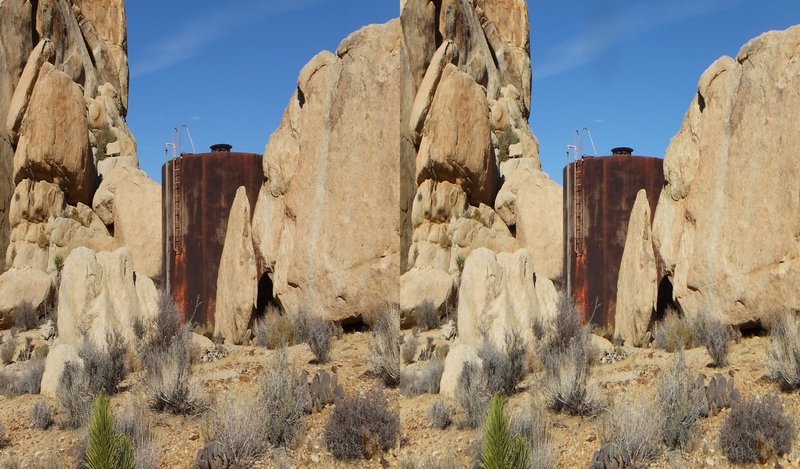 The most prominent piles are immediately east, beyond the house. 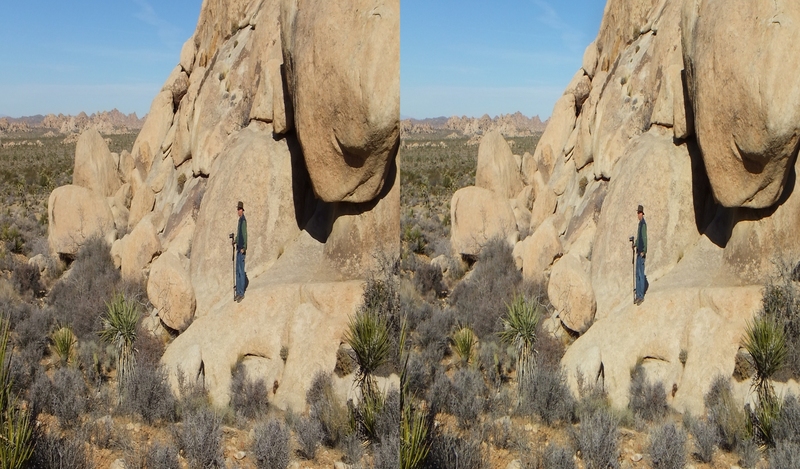 They are called the Lost Rocks. 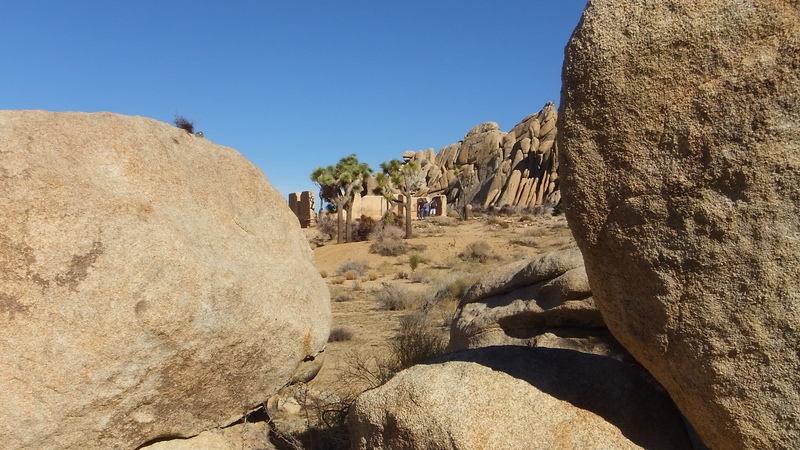 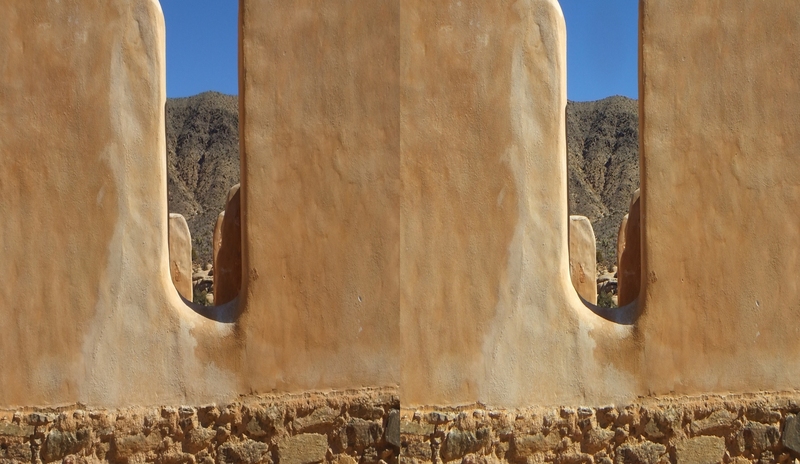 As if their names were chosen on purpose to confuse, the rock closest to the house is Mislaid Rock. The one further up the slope beside which was installed the iron water tank is Misplaced Rock. 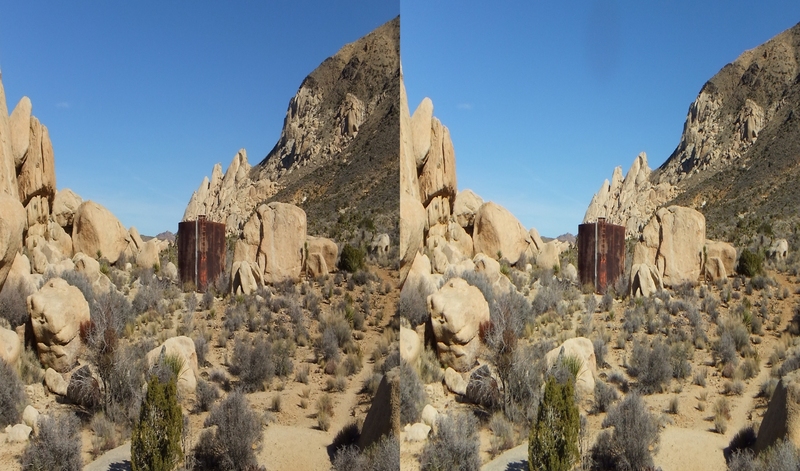 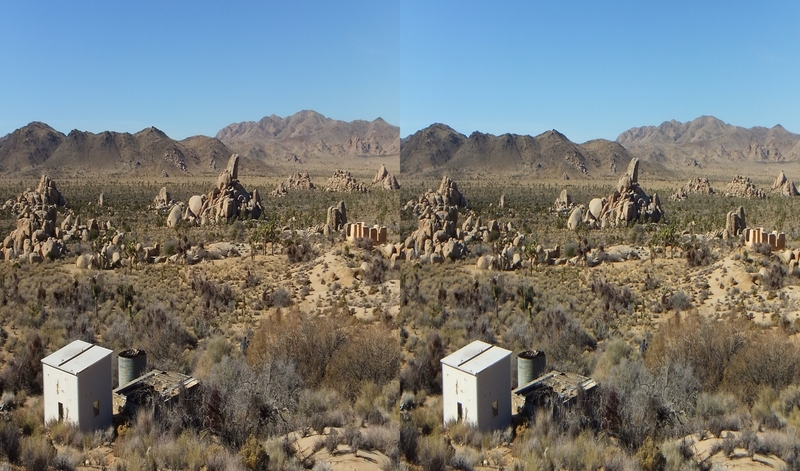 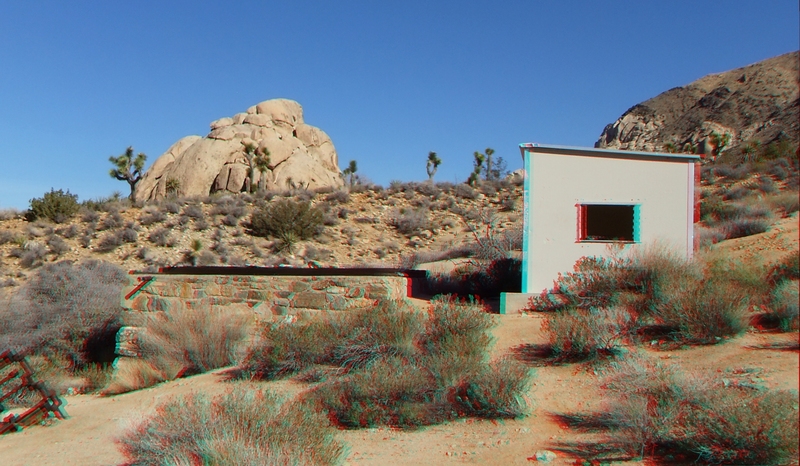 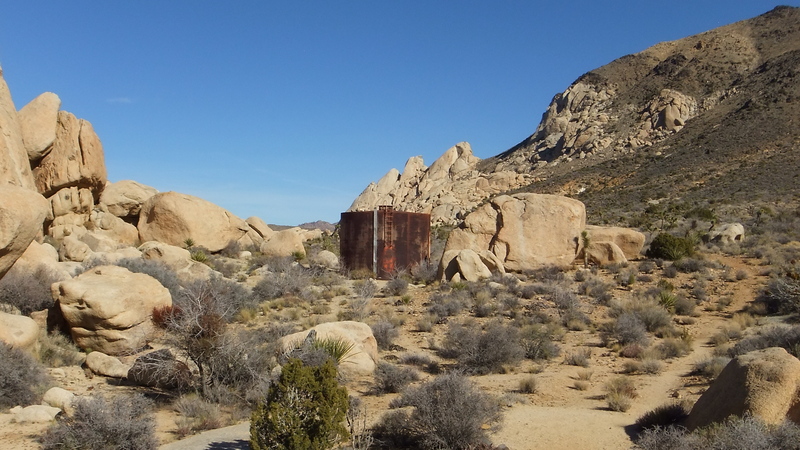 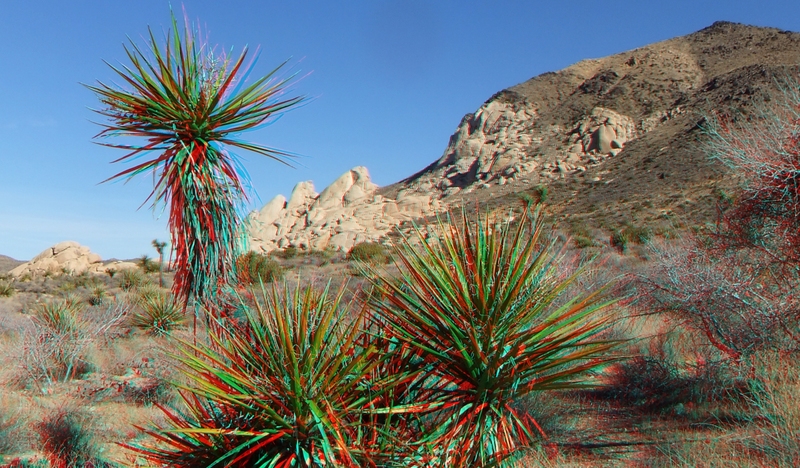 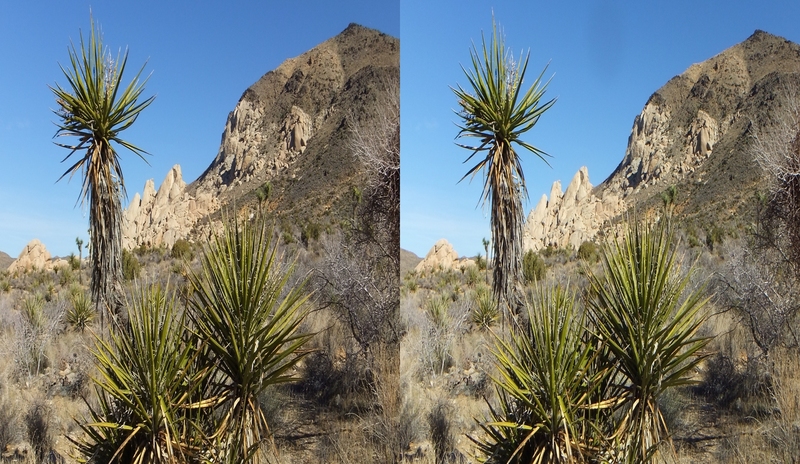 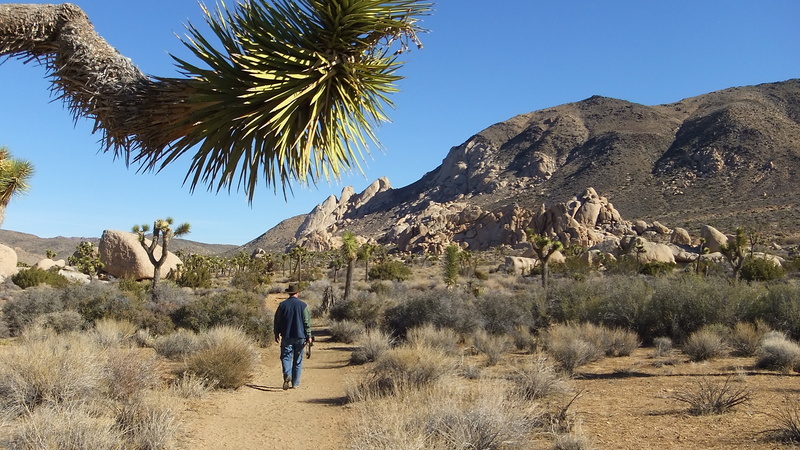 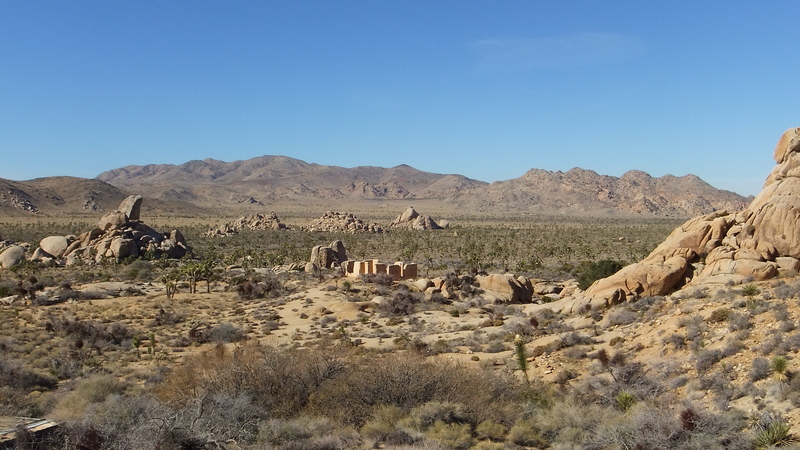 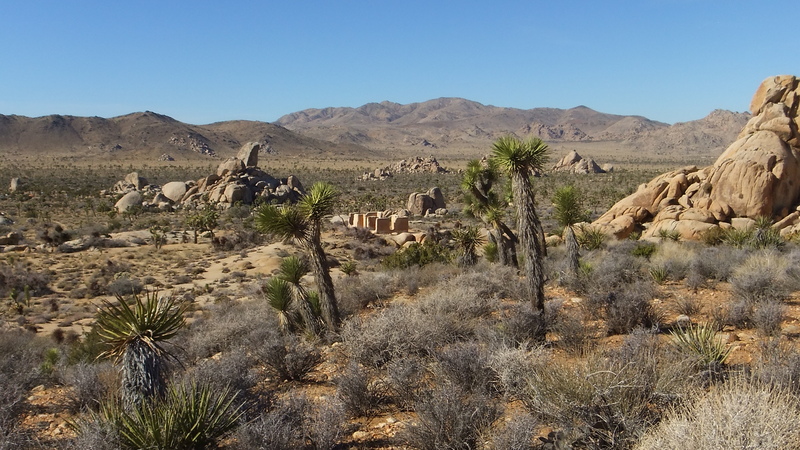 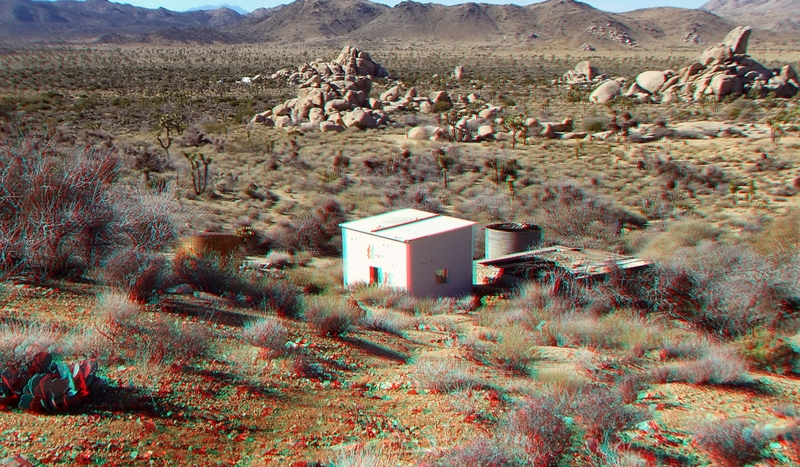 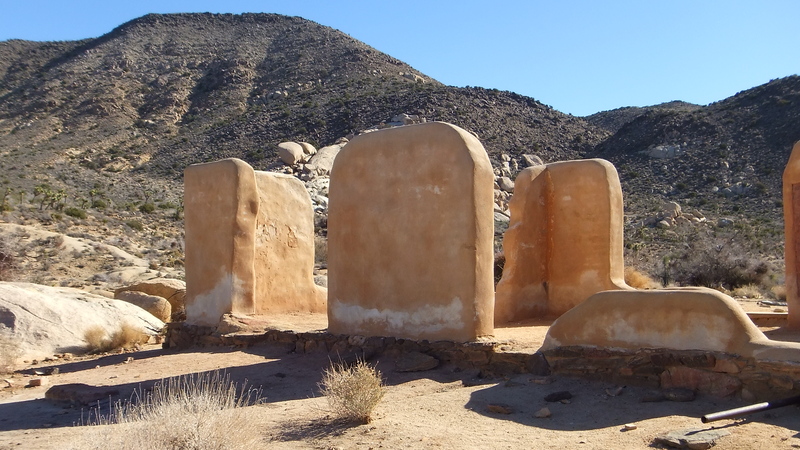 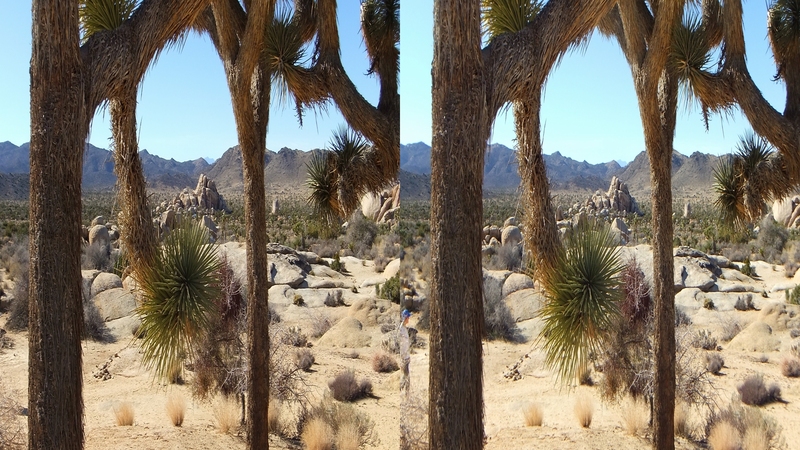 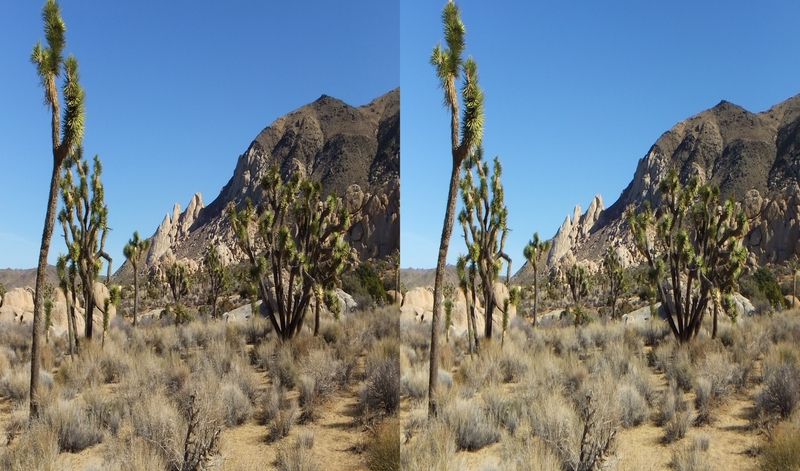 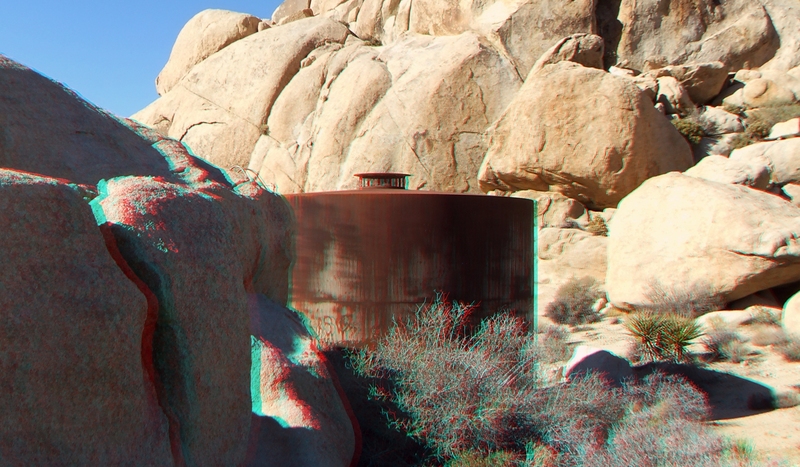 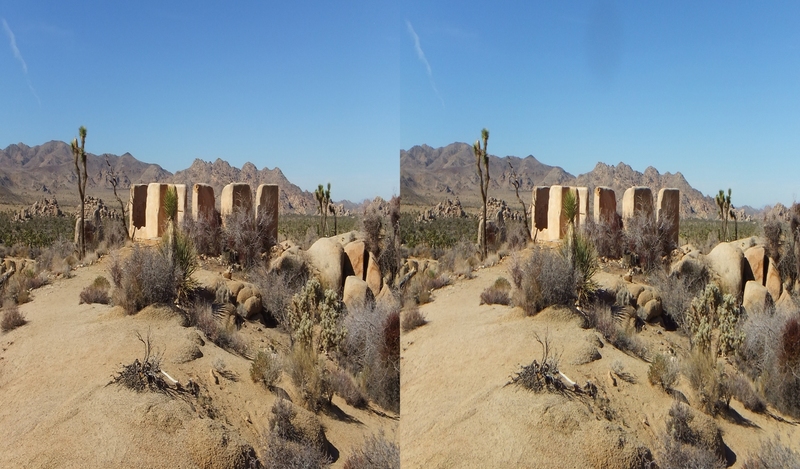 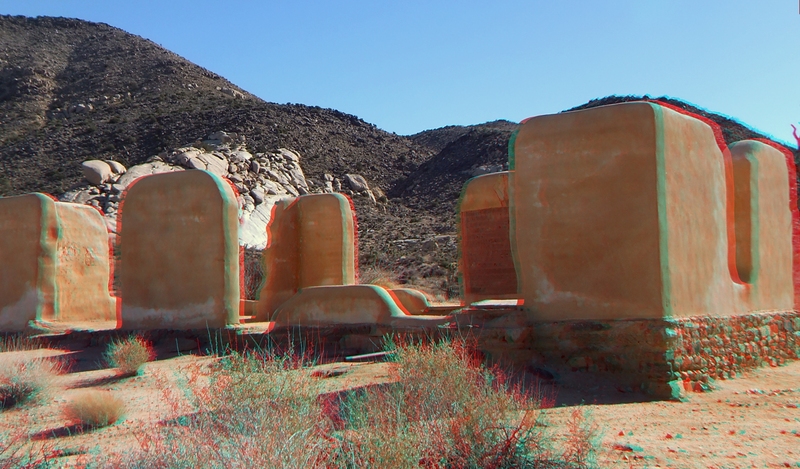 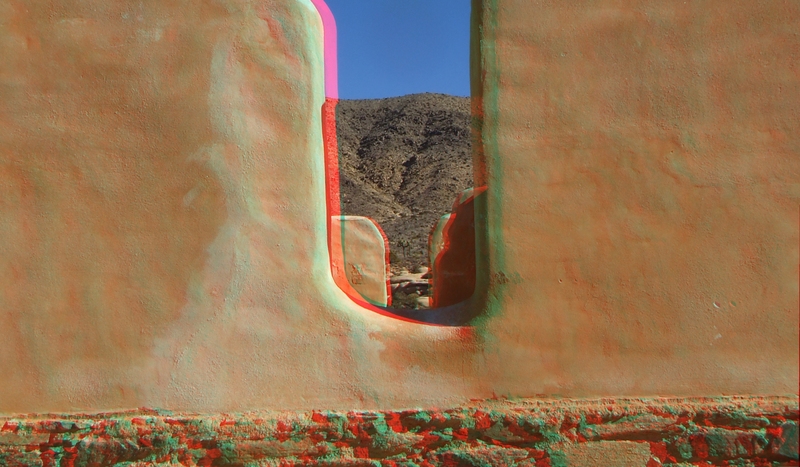 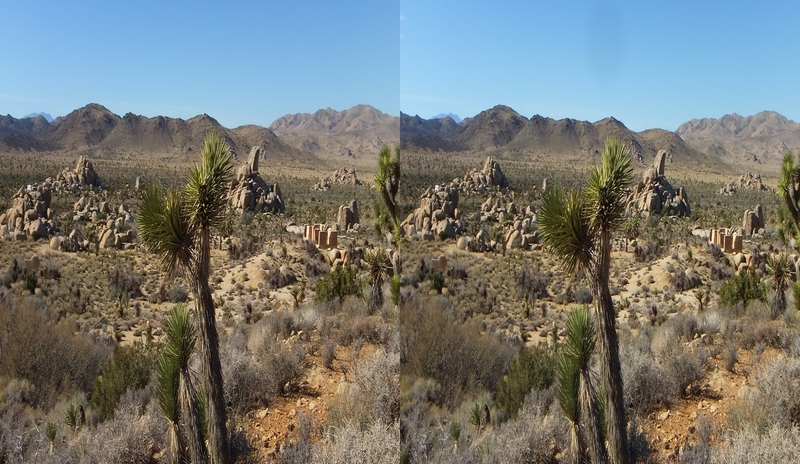 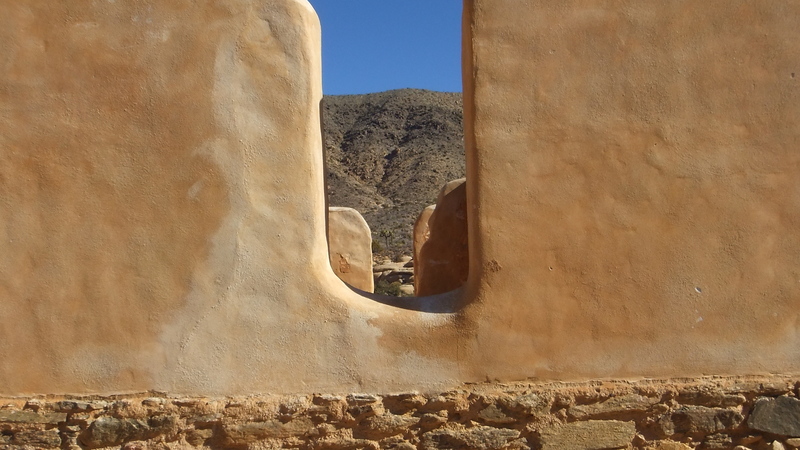 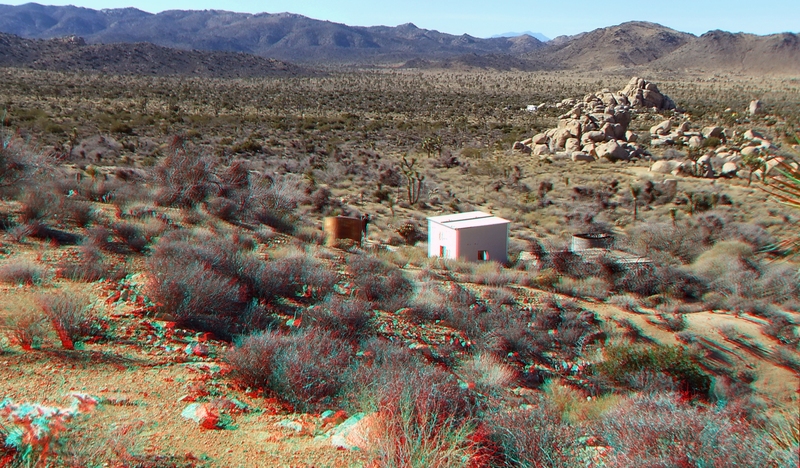 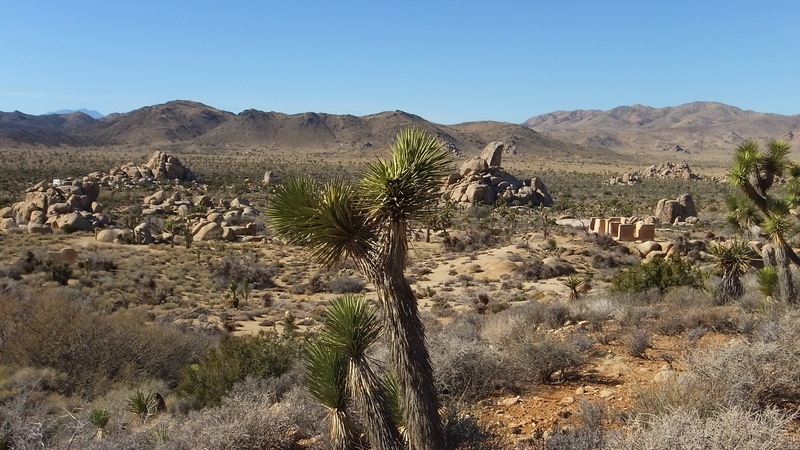 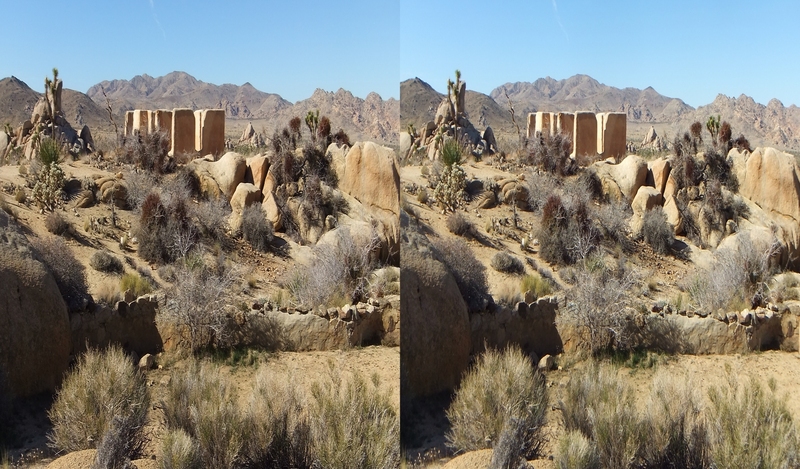 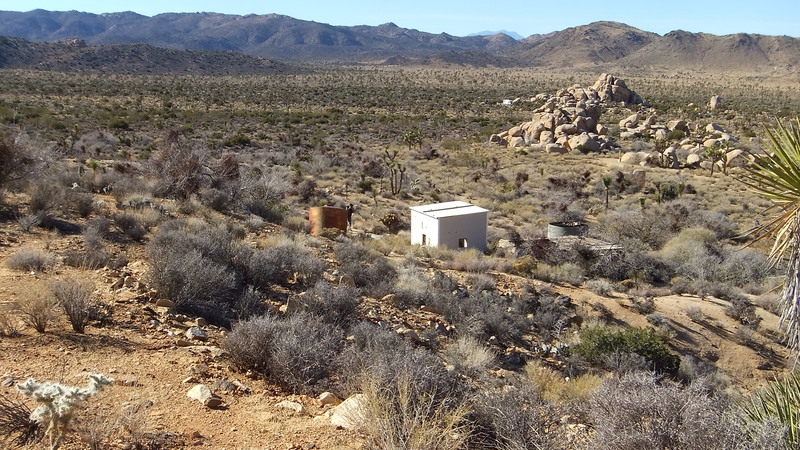 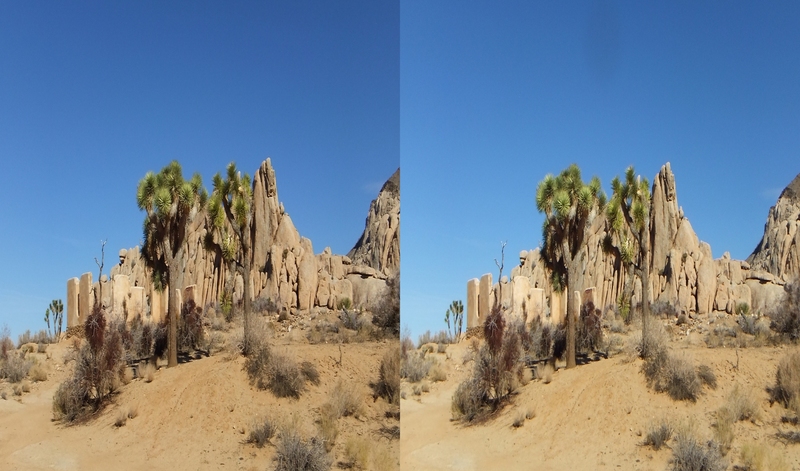 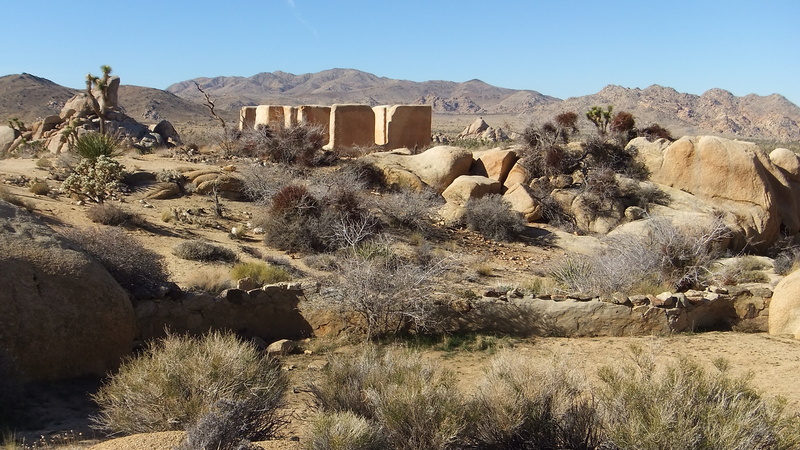 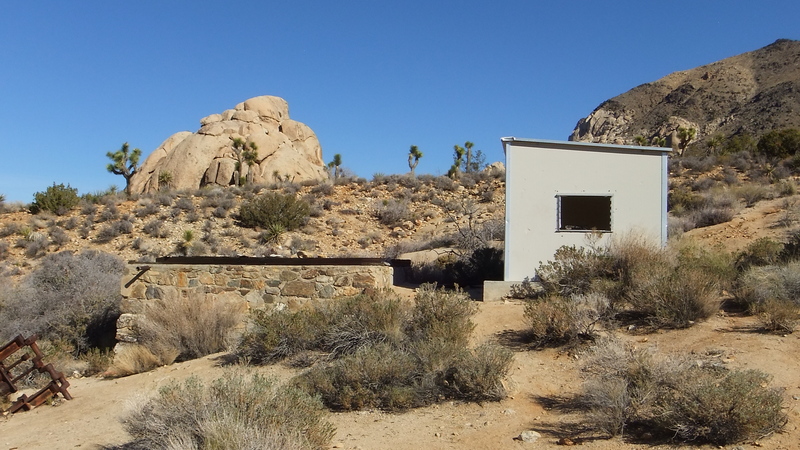 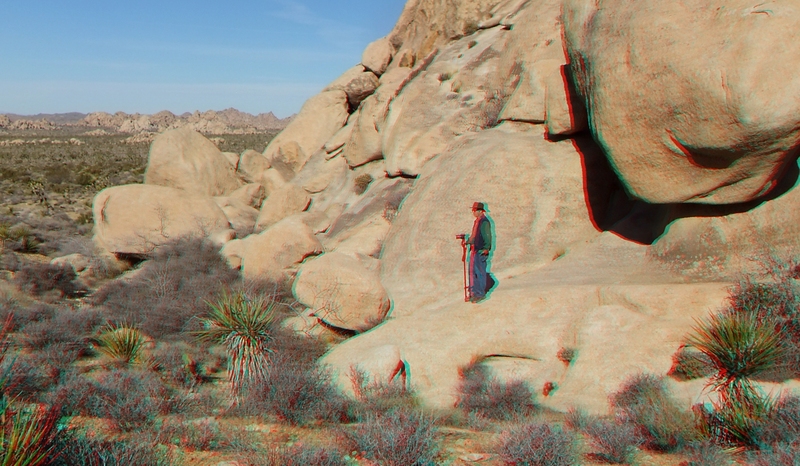 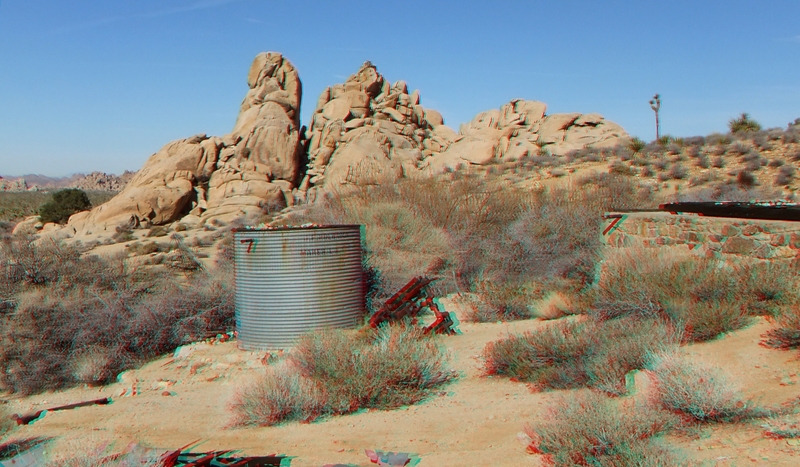 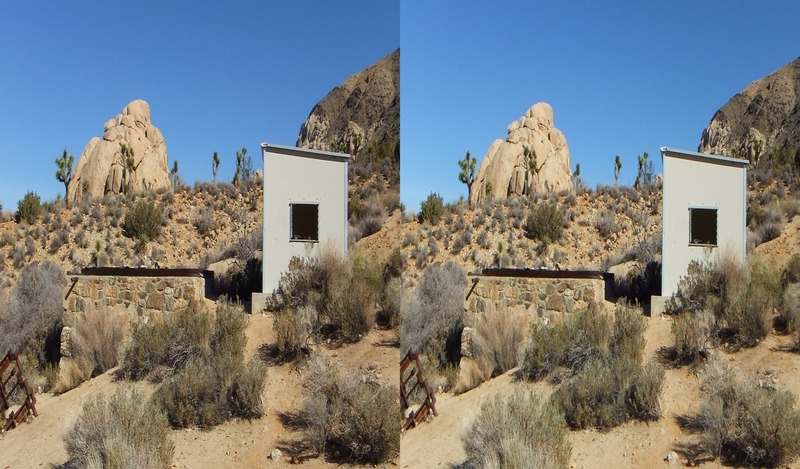 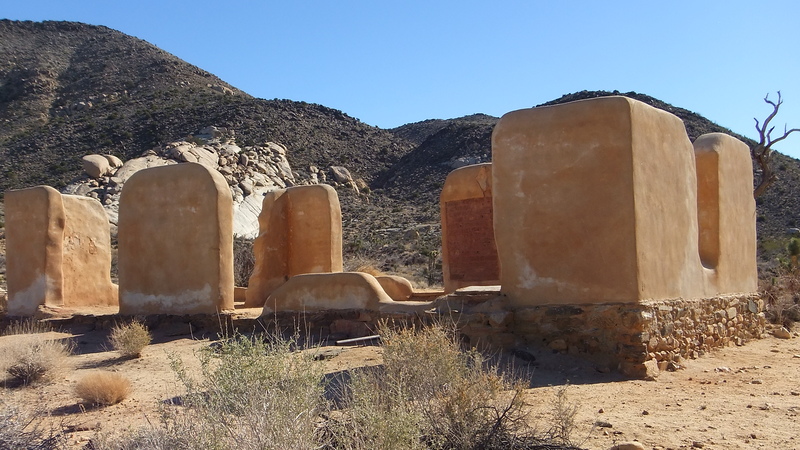 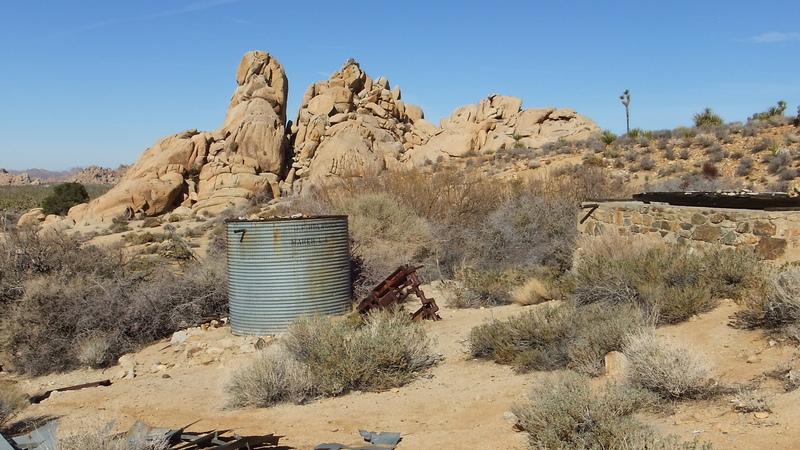 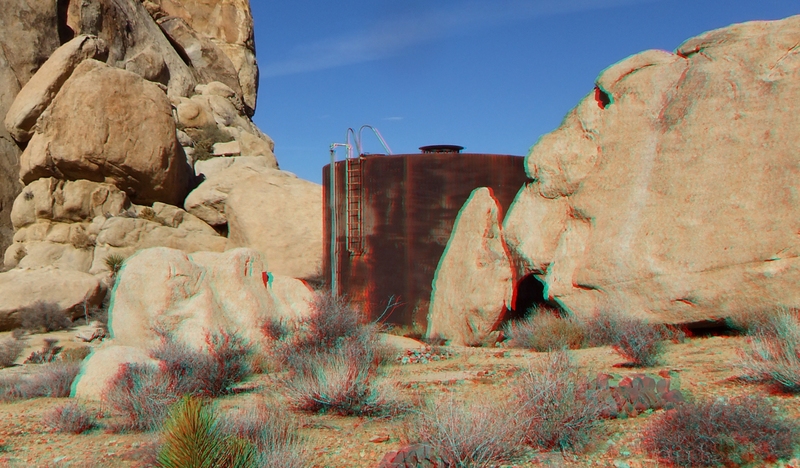 The homestead at Ryan and its residual ephemera is a popular short hike for visitors to Joshua Tree Park; and if it so happens you are there for the late-afternoon colors, you will experience the beautiful scenery all the more.